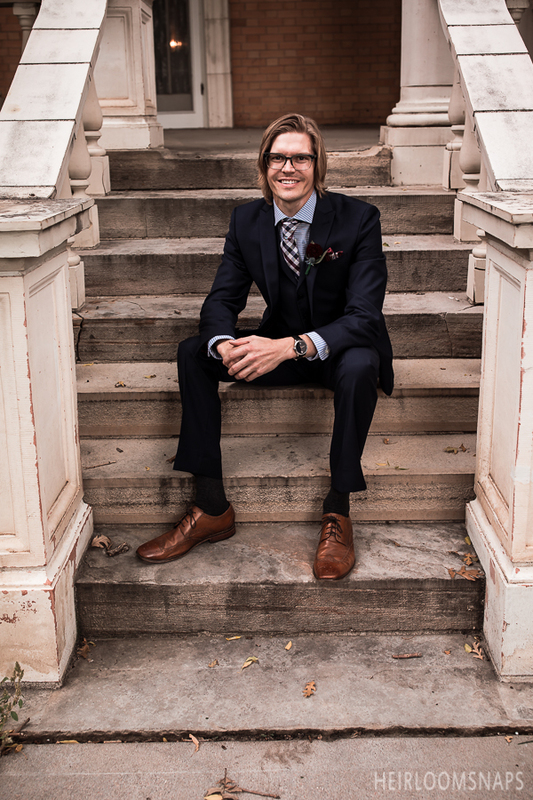 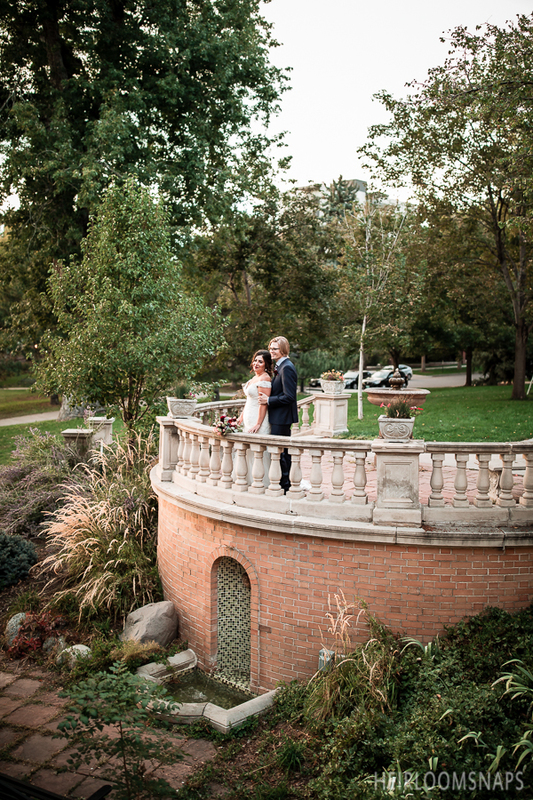 We last saw Olivia and Jason at their engagement shoot at the historic Union Station in Downtown Denver, and they continued their appreciation of vintage settings by having their wedding at the Grant-Humphreys Mansion. 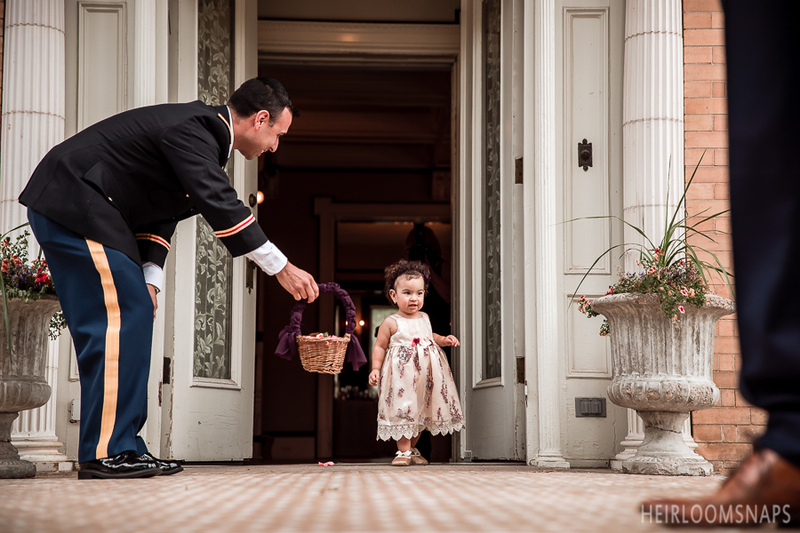 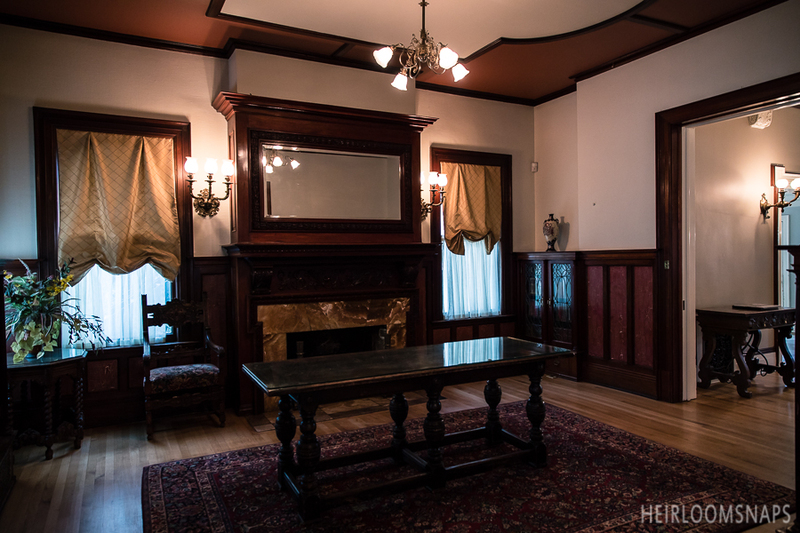 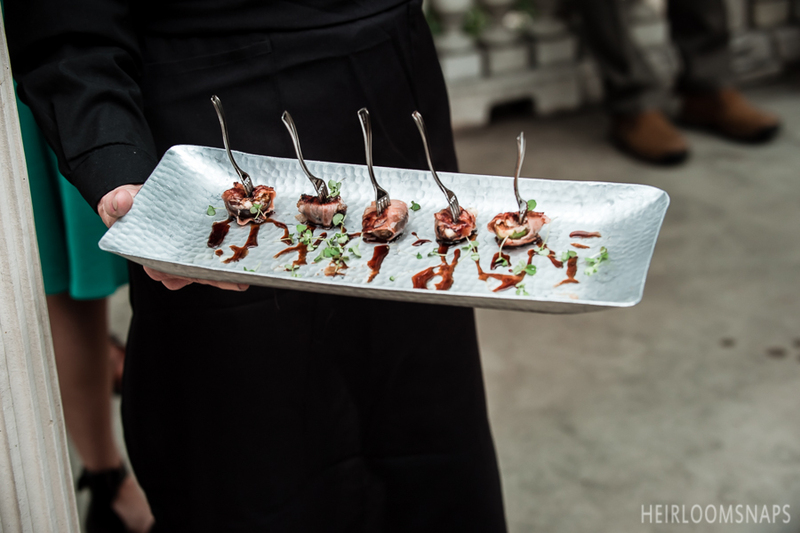 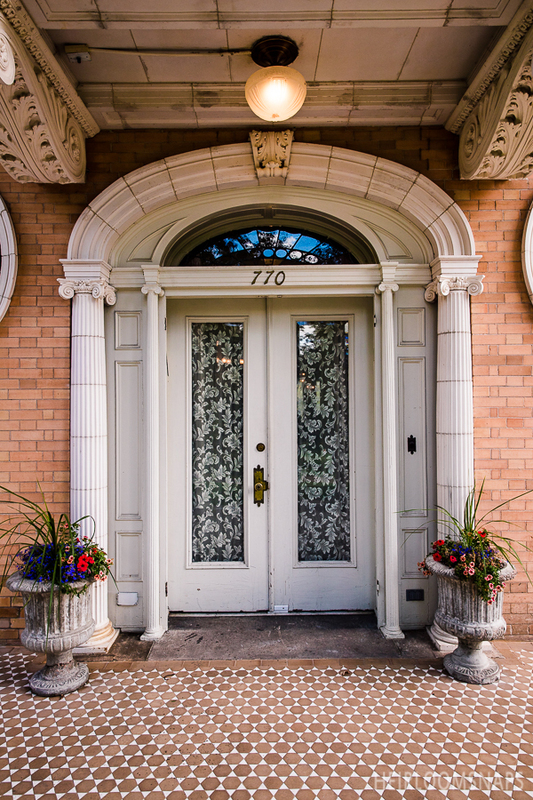 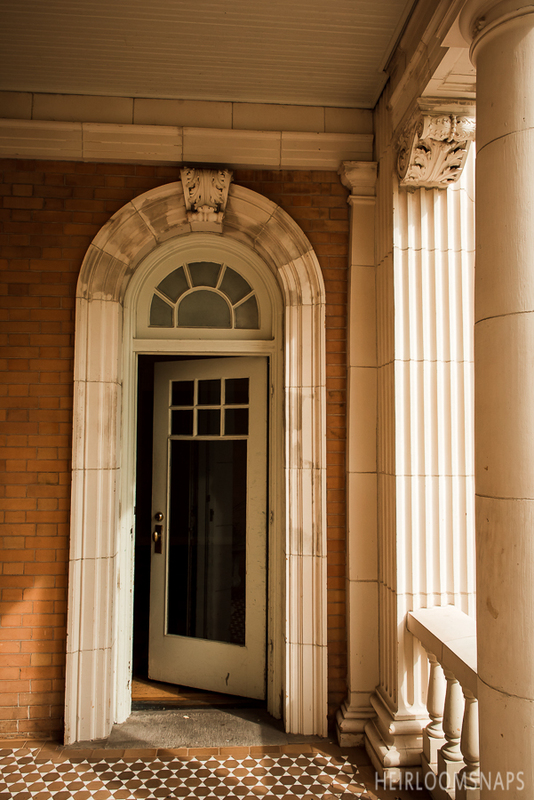 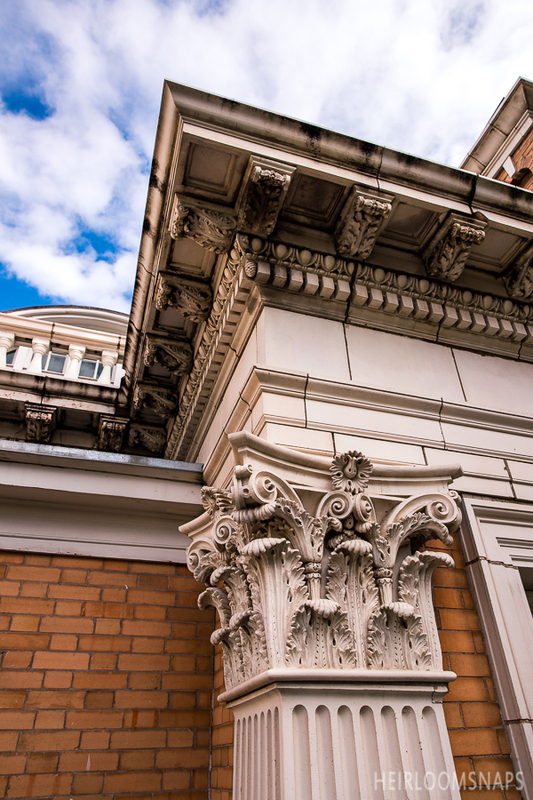 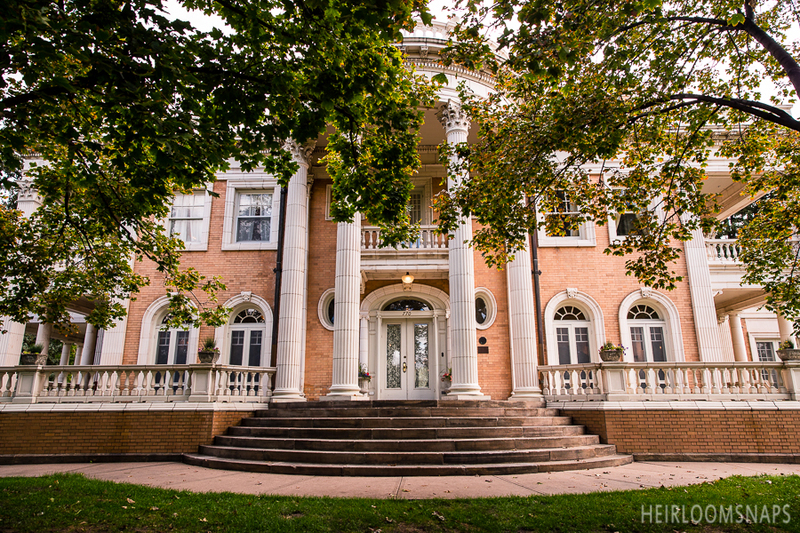 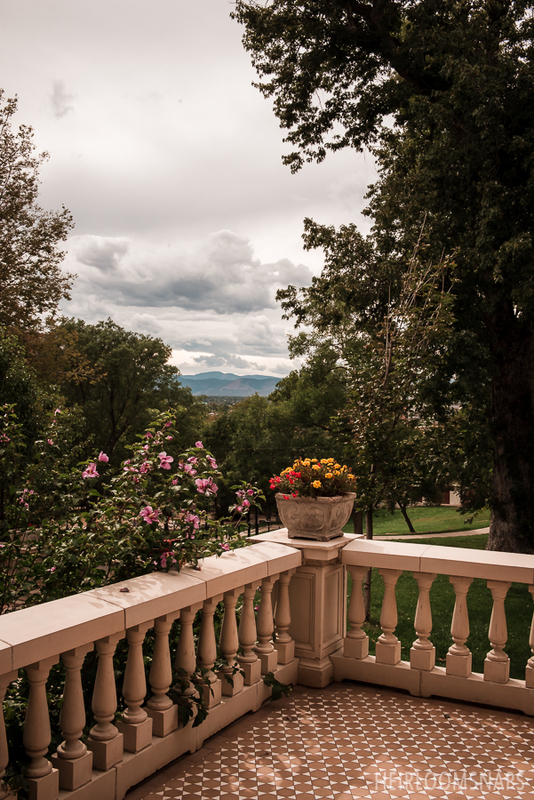 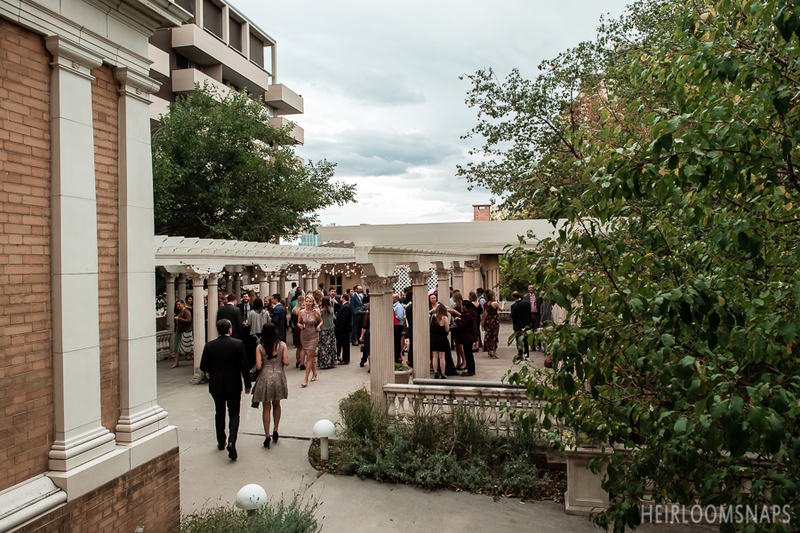 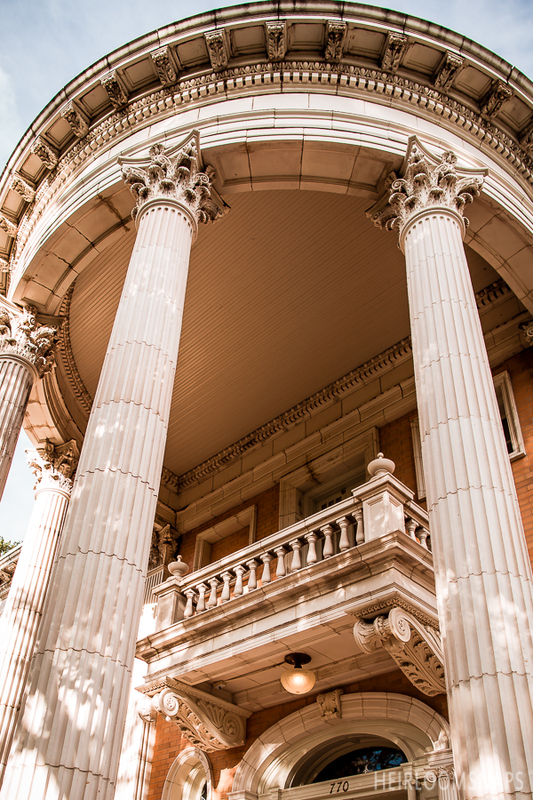 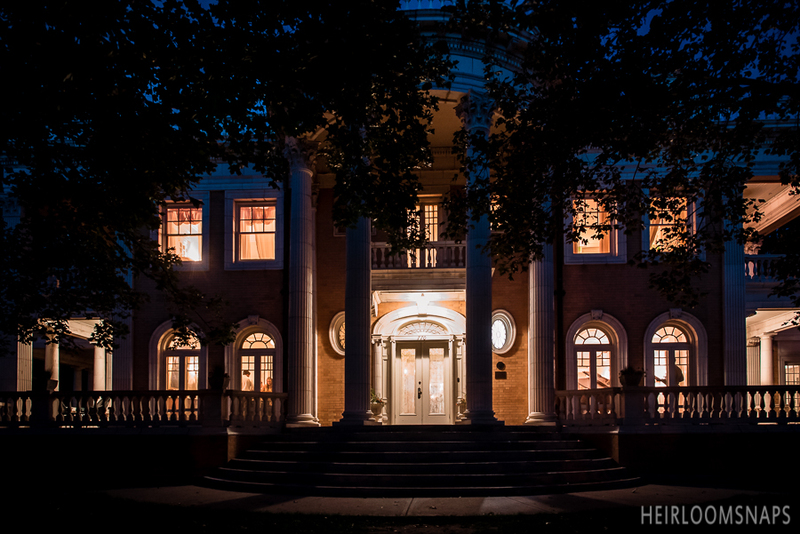 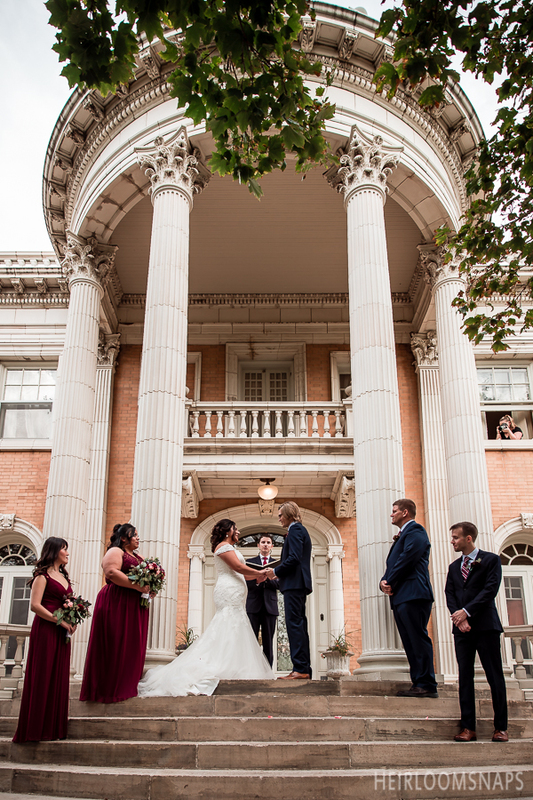 Located in the heart of Denver, the mansion was erected in 1902, and stands as a symbol of Coloradan philanthropy and aviary achievements that have molded the state into what it is today. 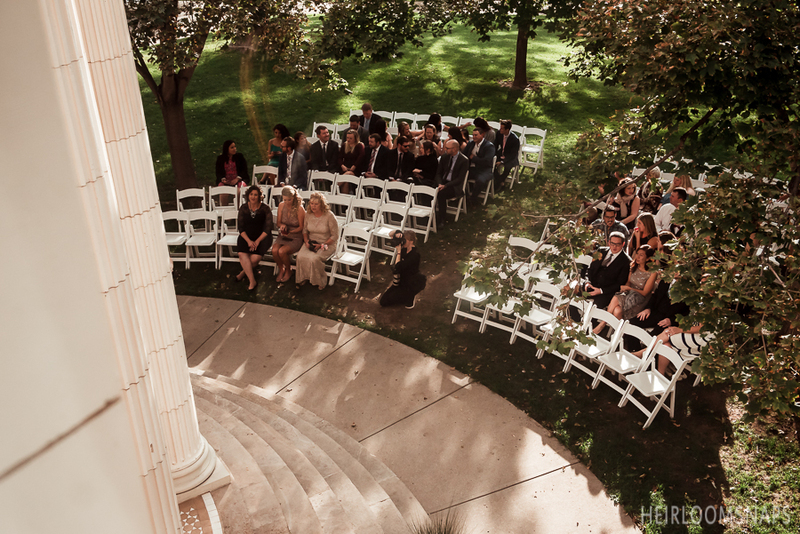 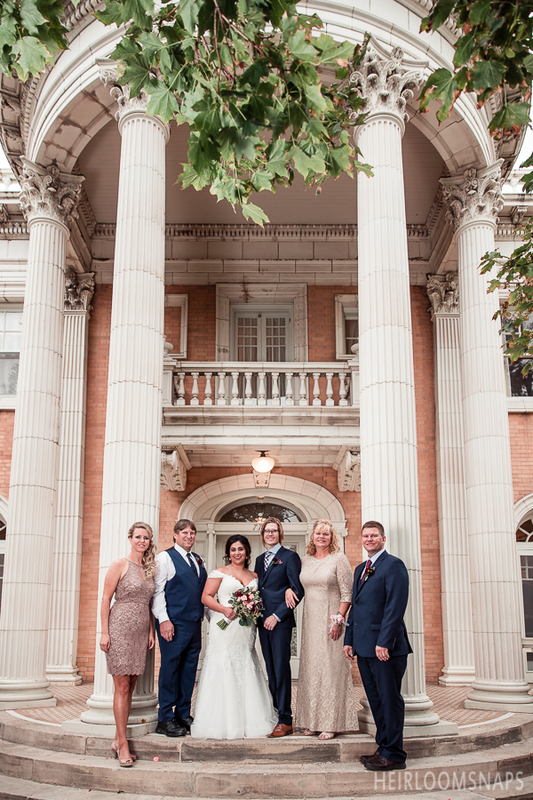 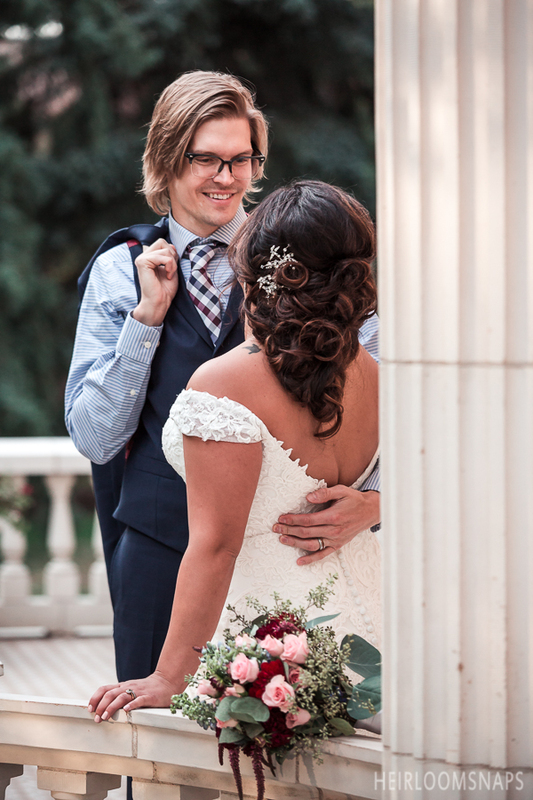 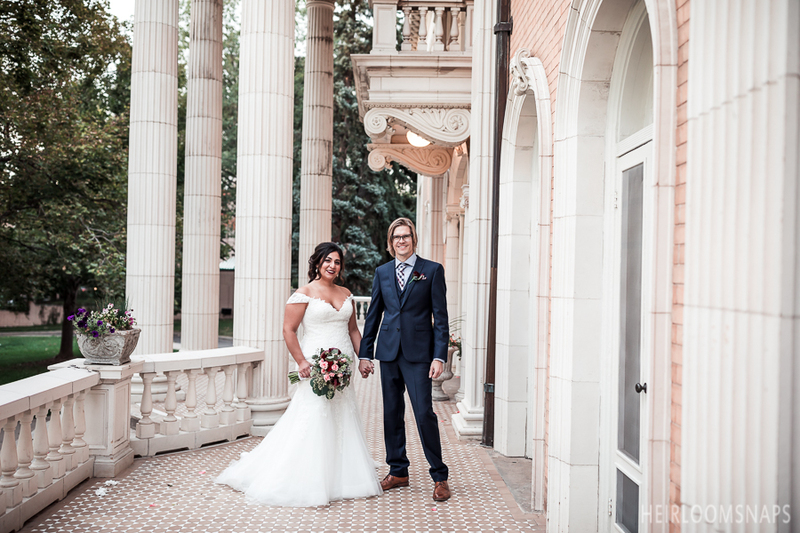 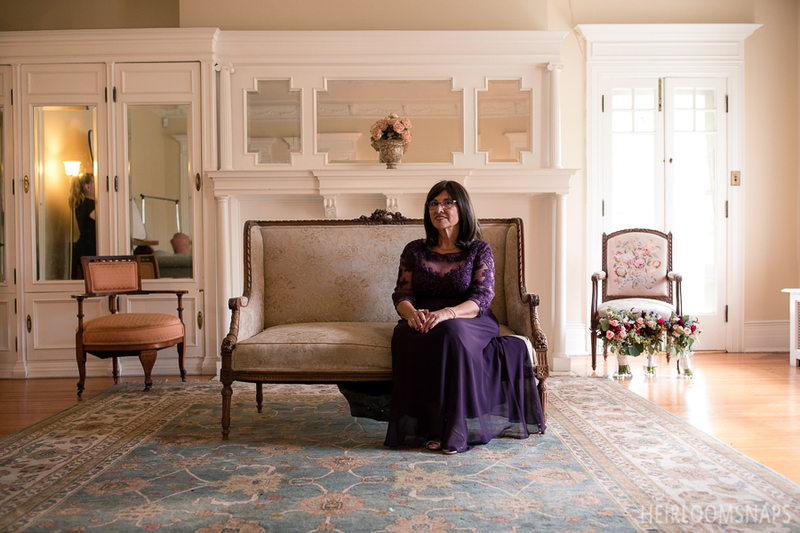 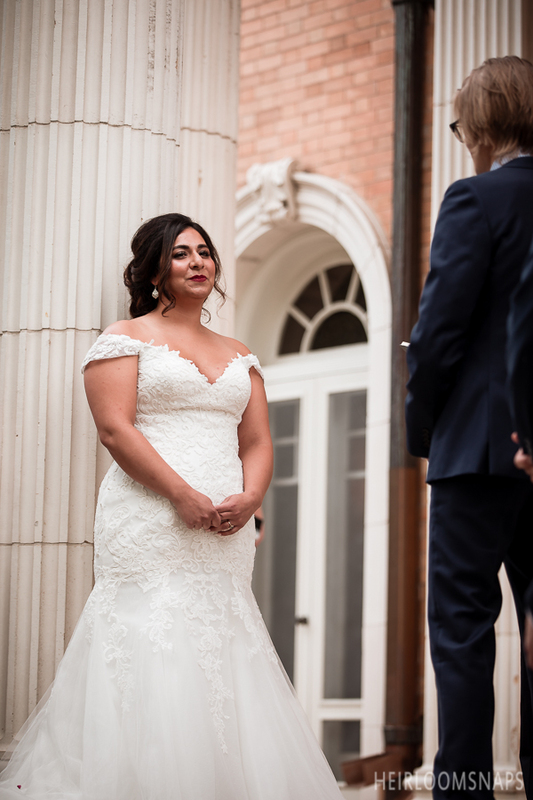 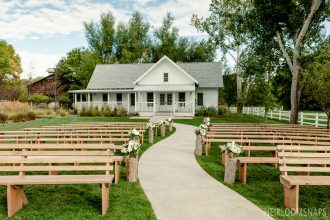 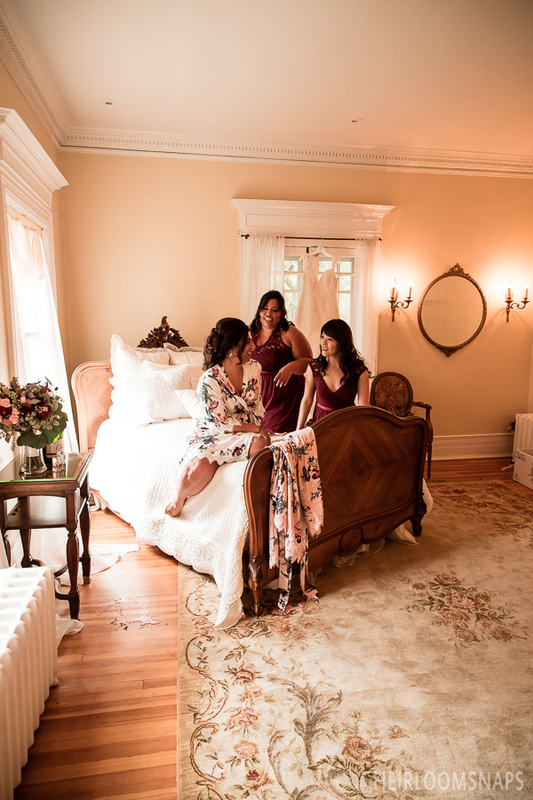 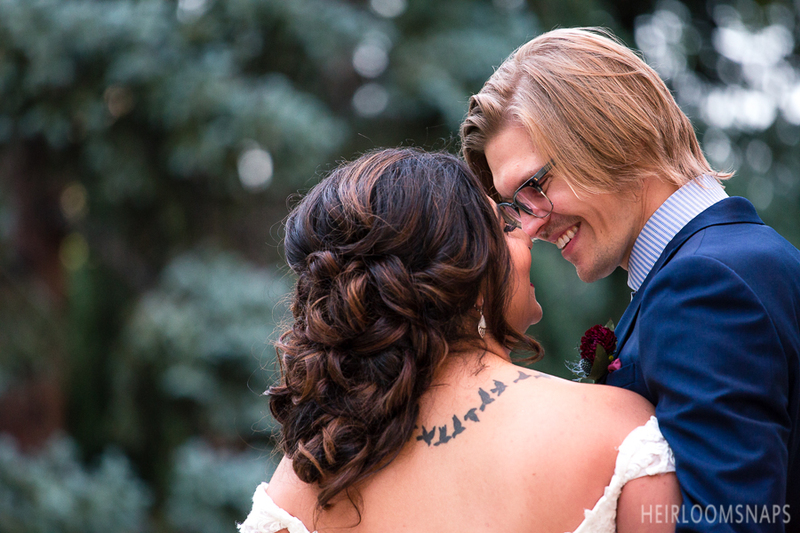 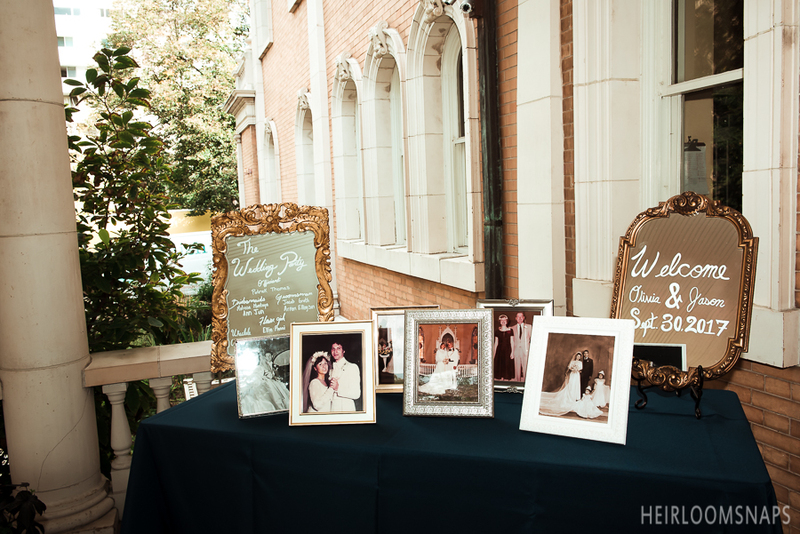 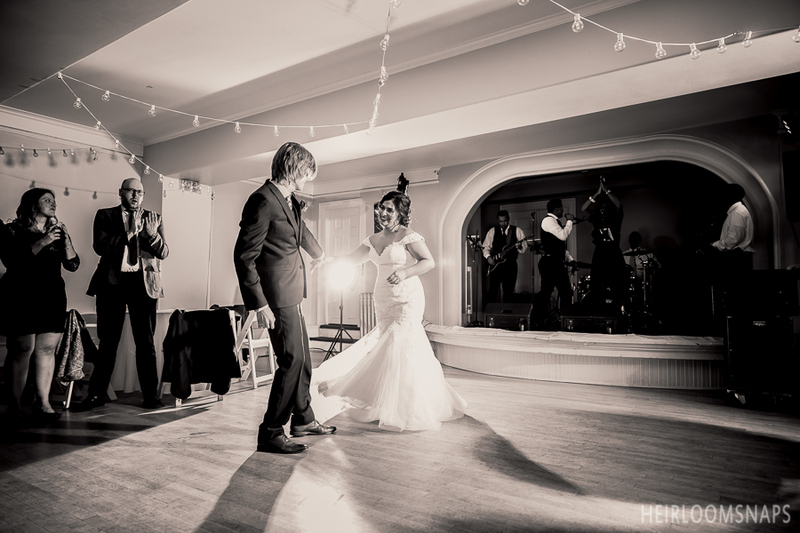 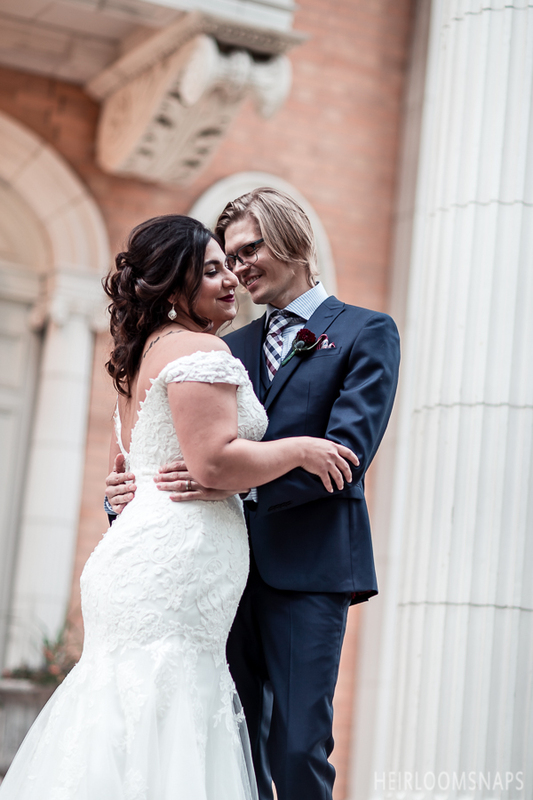 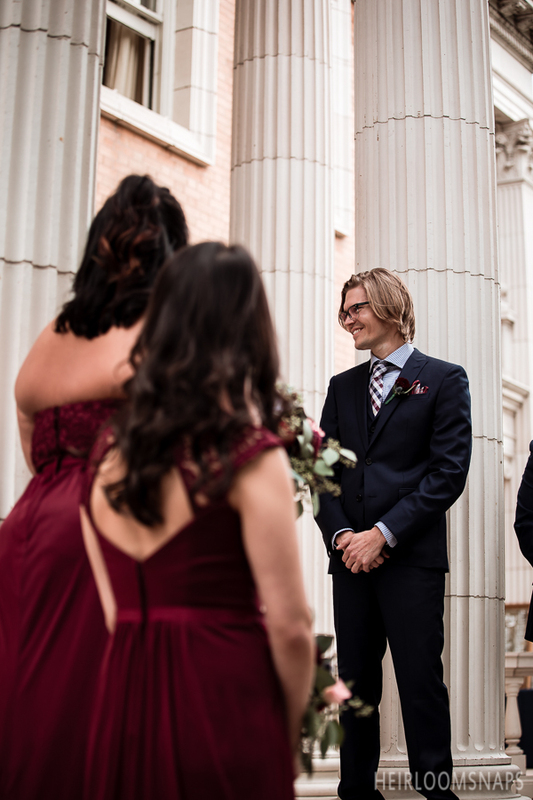 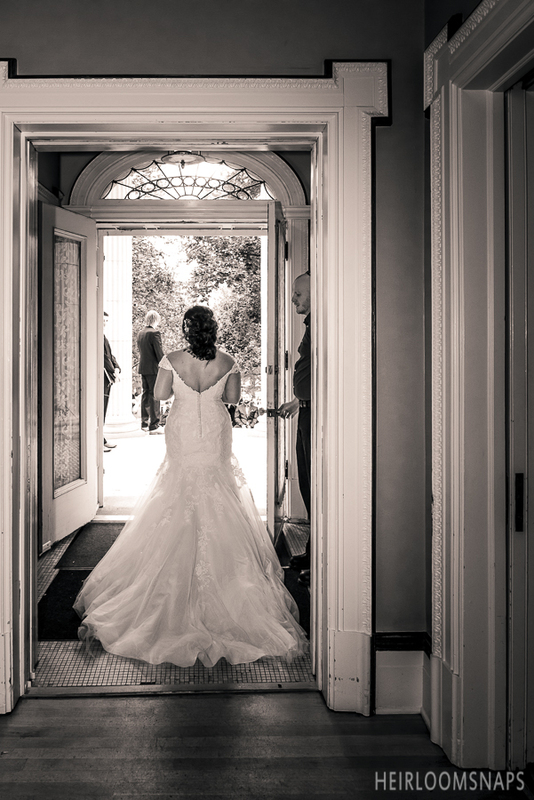 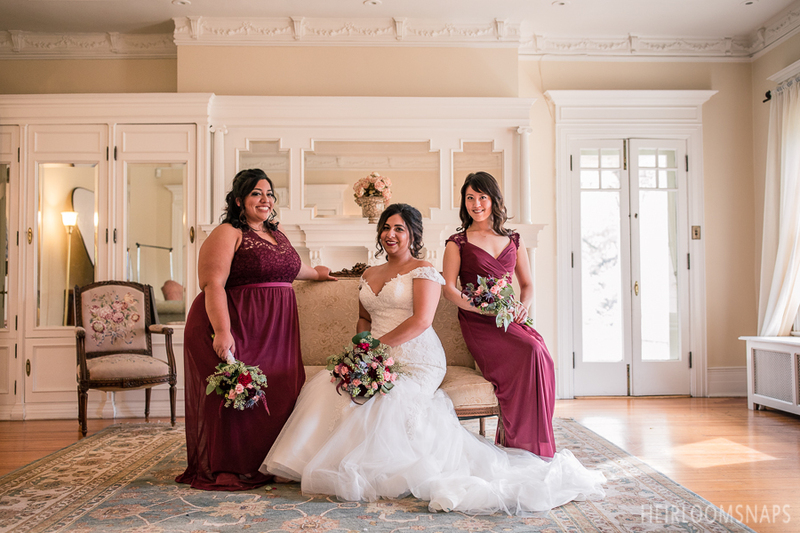 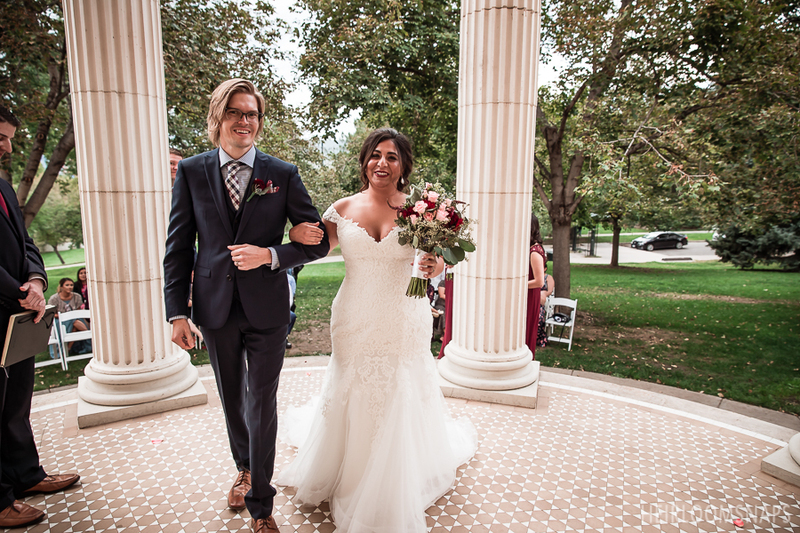 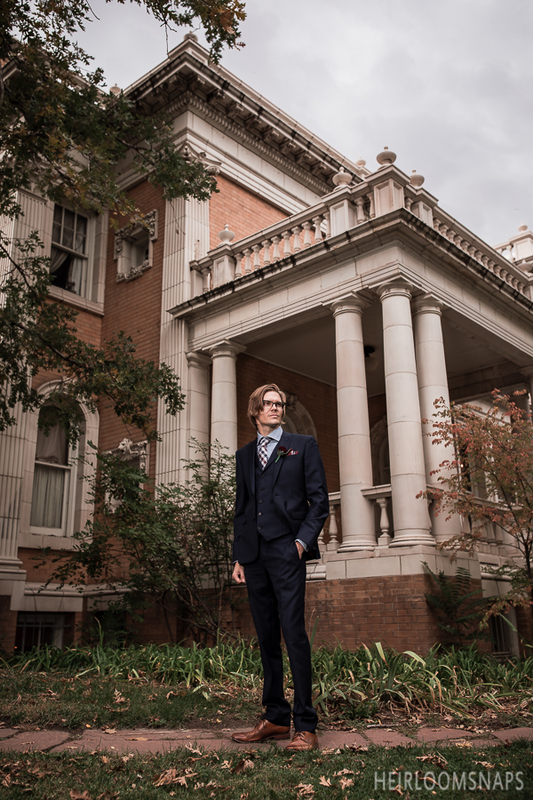 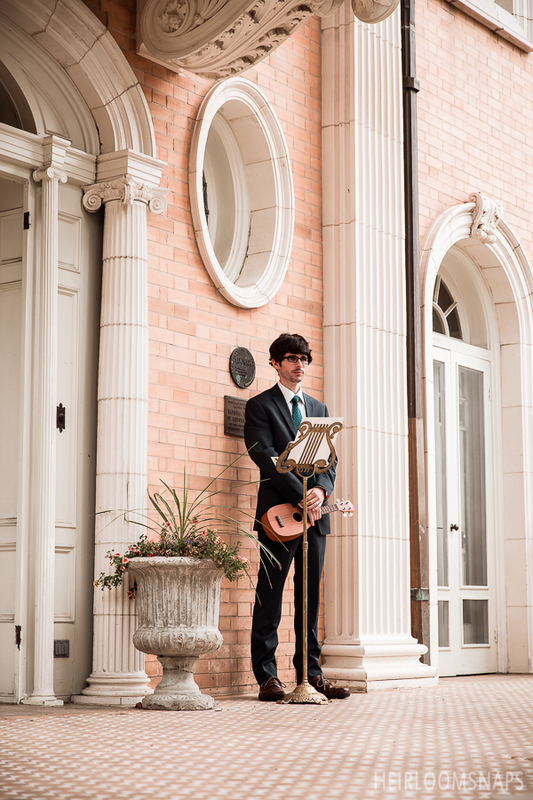 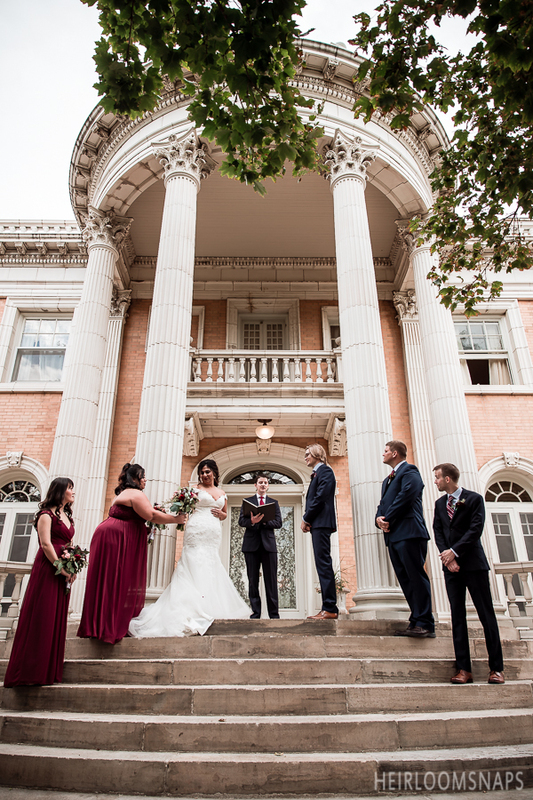 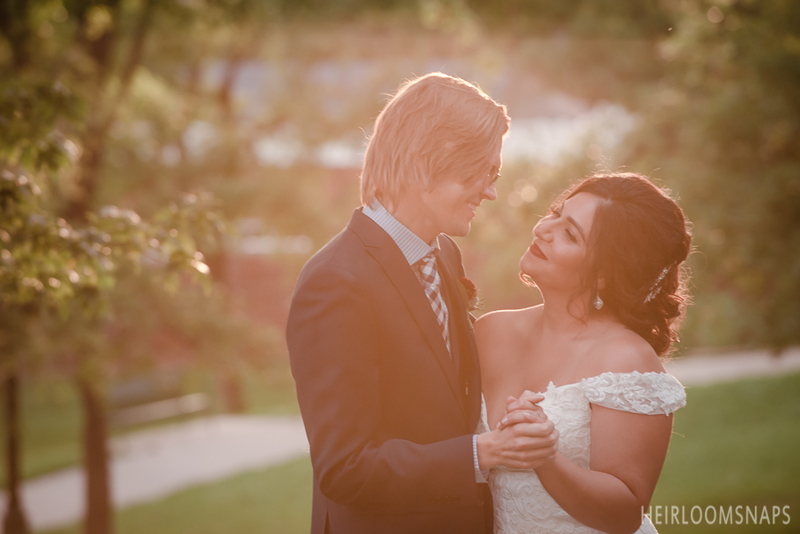 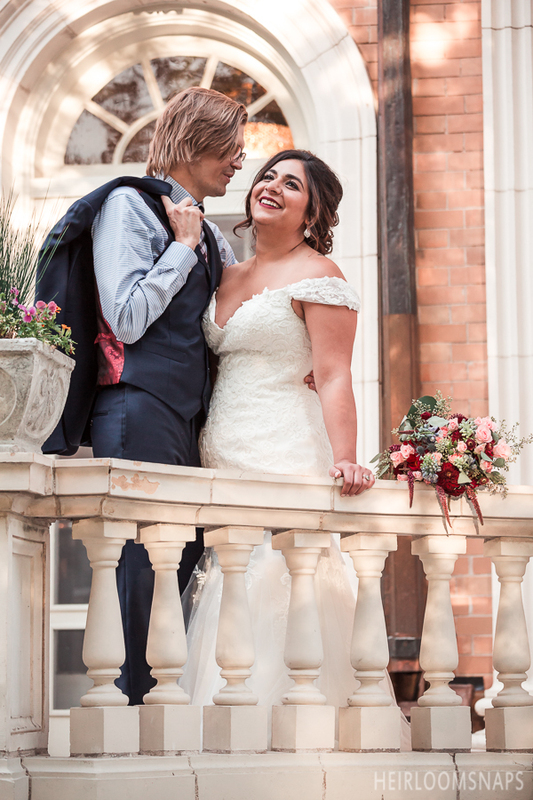 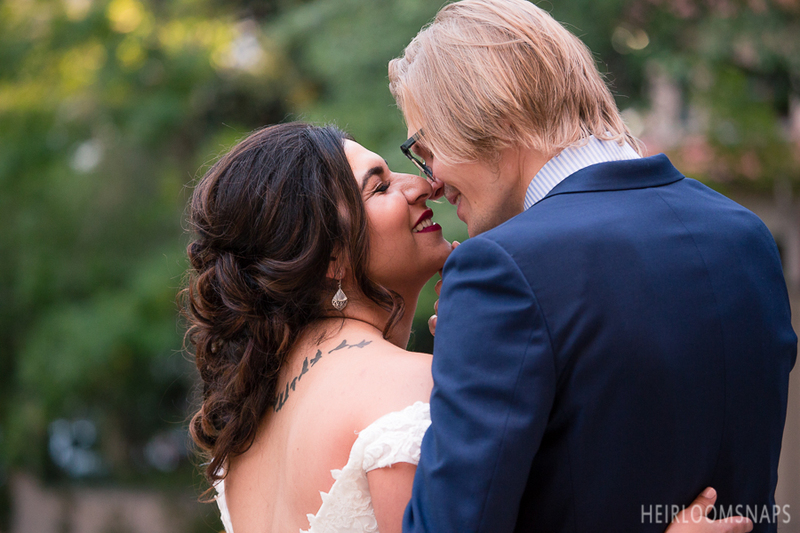 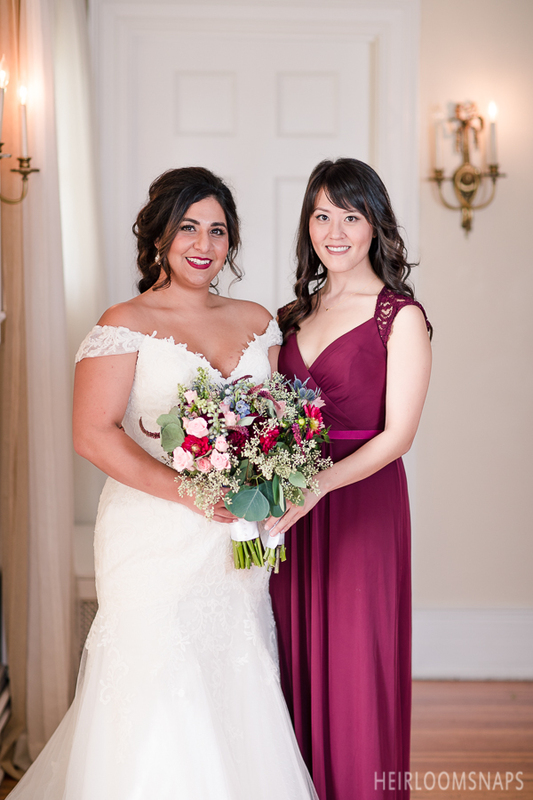 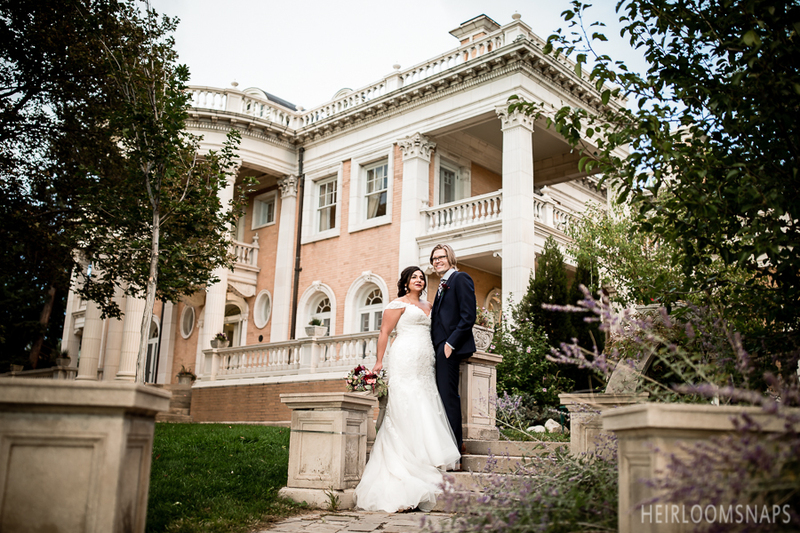 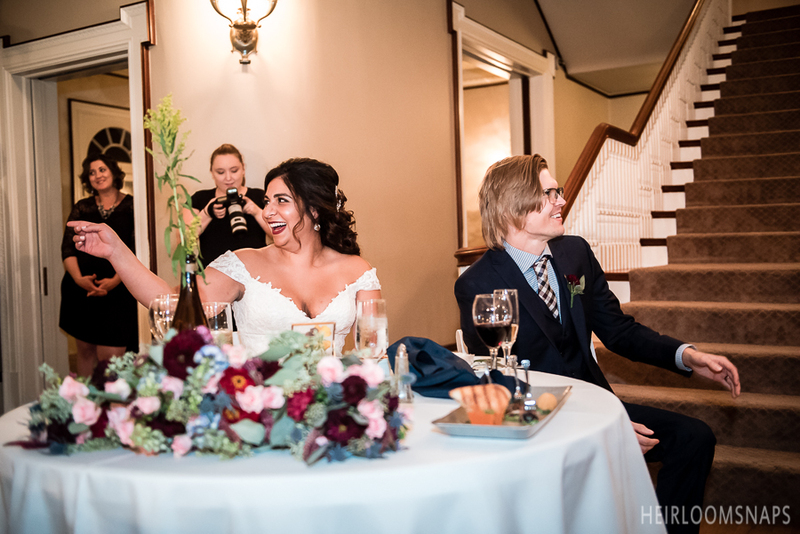 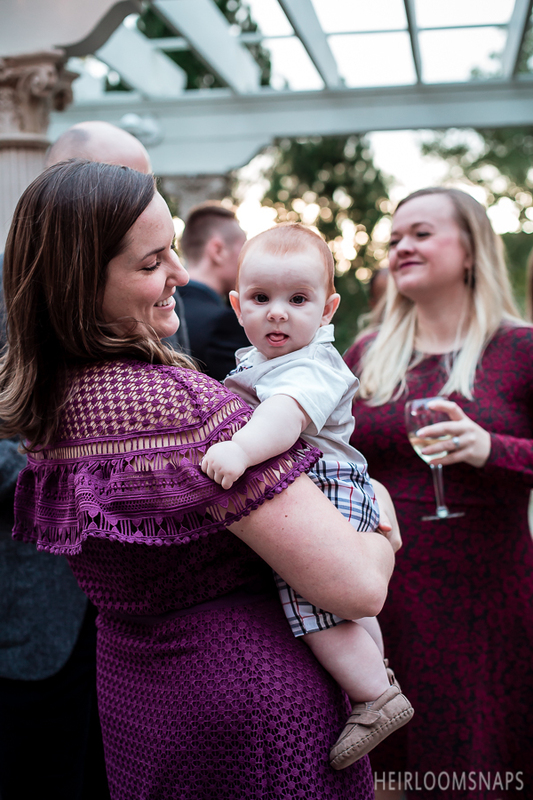 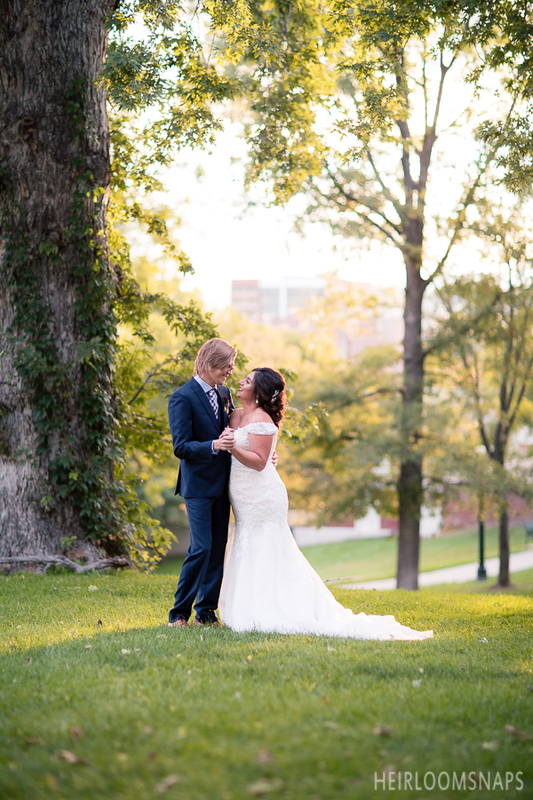 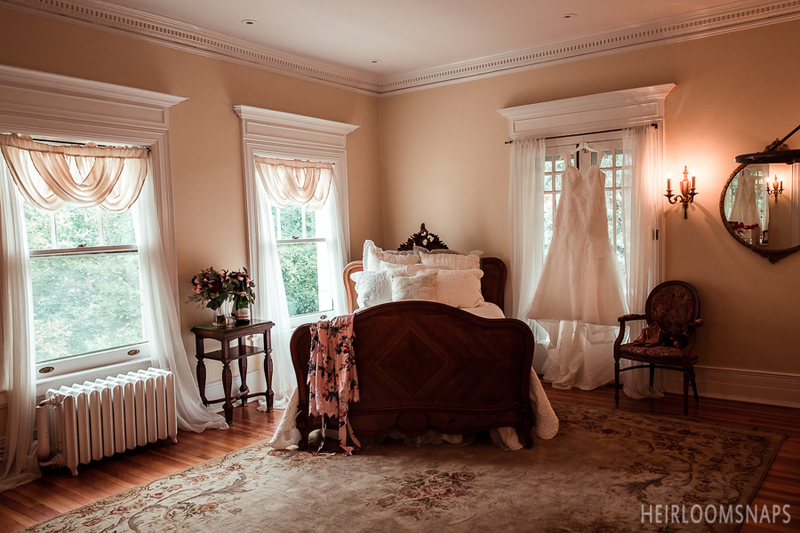 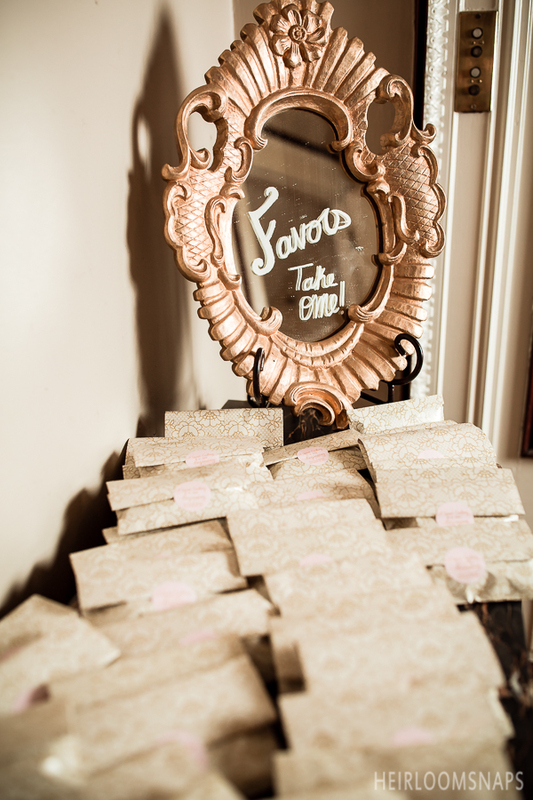 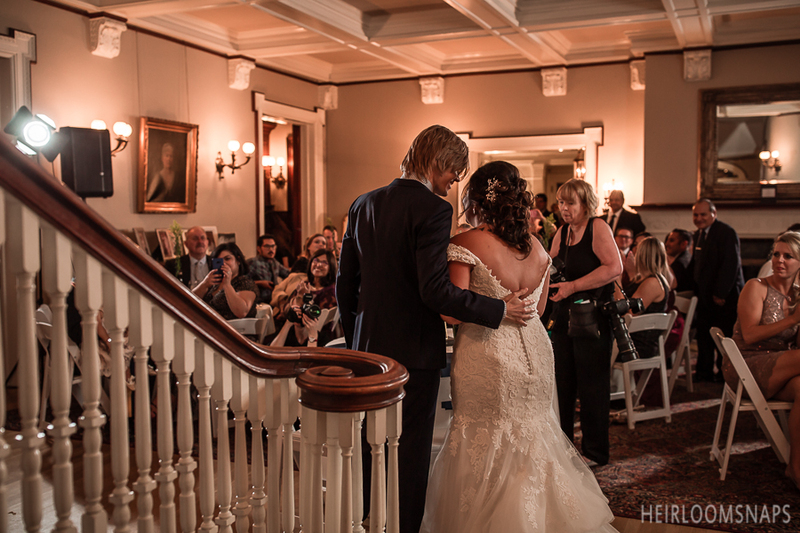 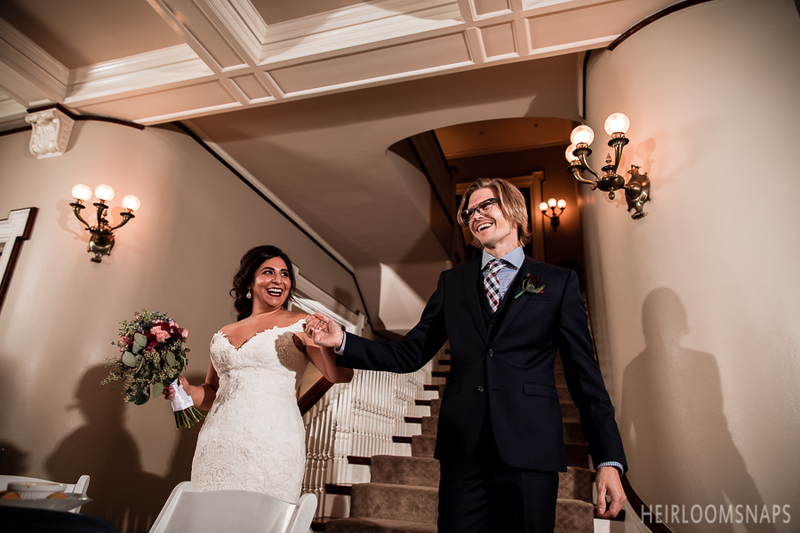 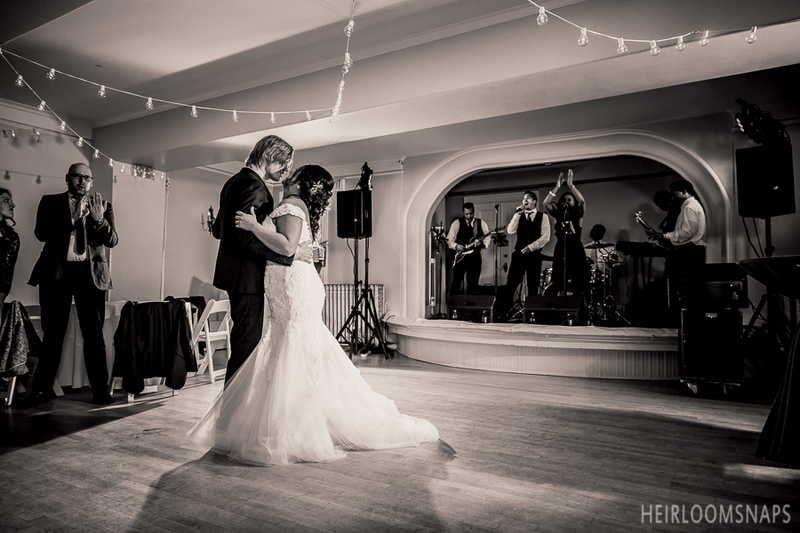 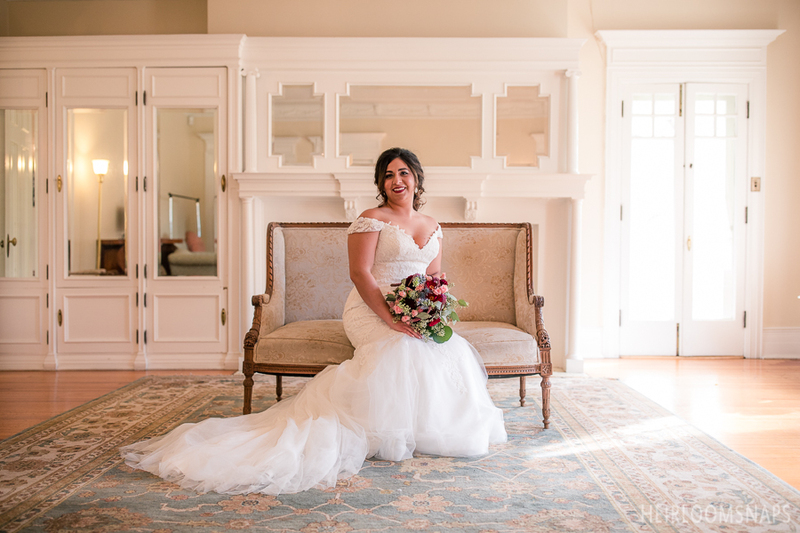 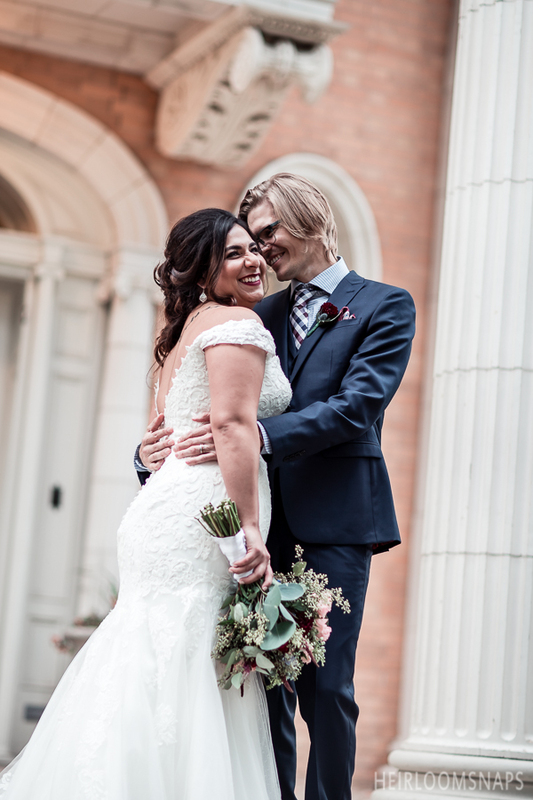 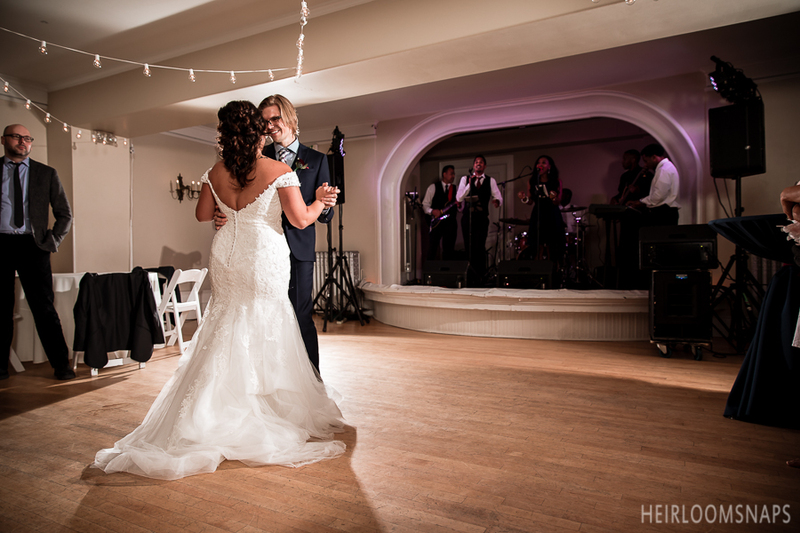 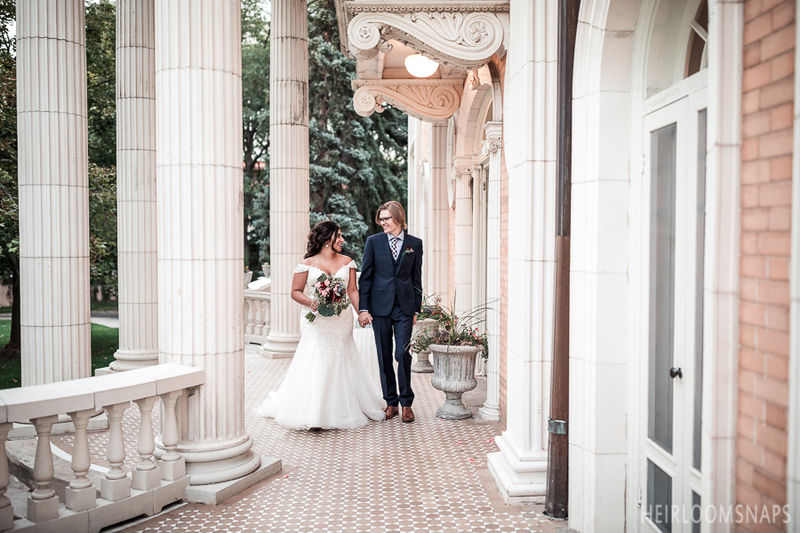 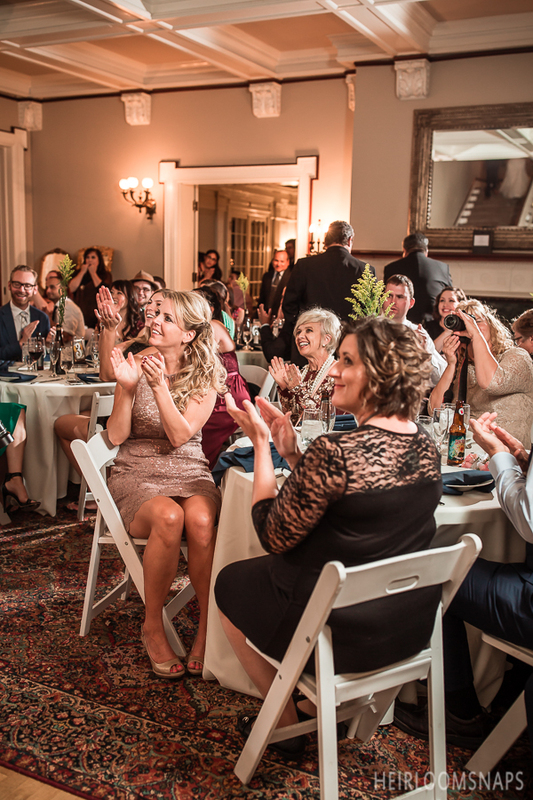 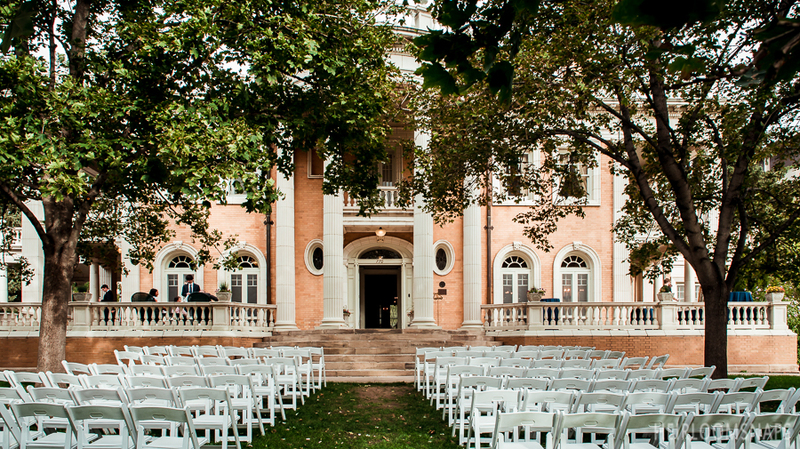 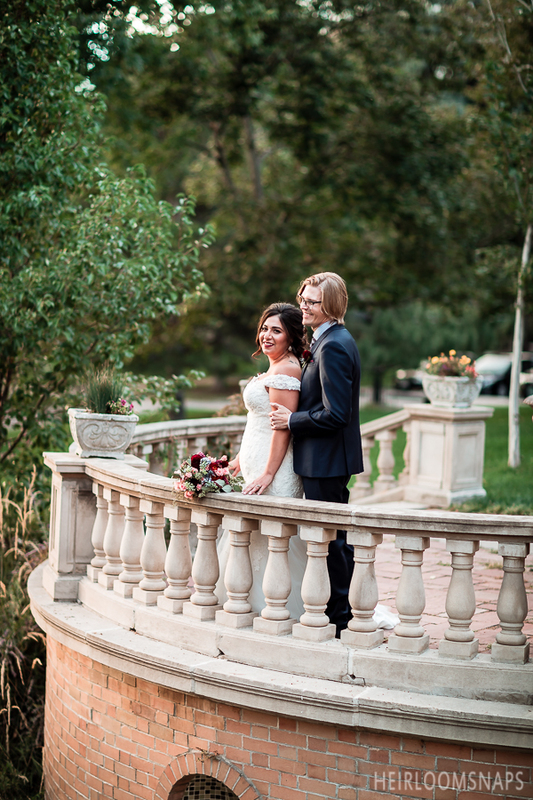 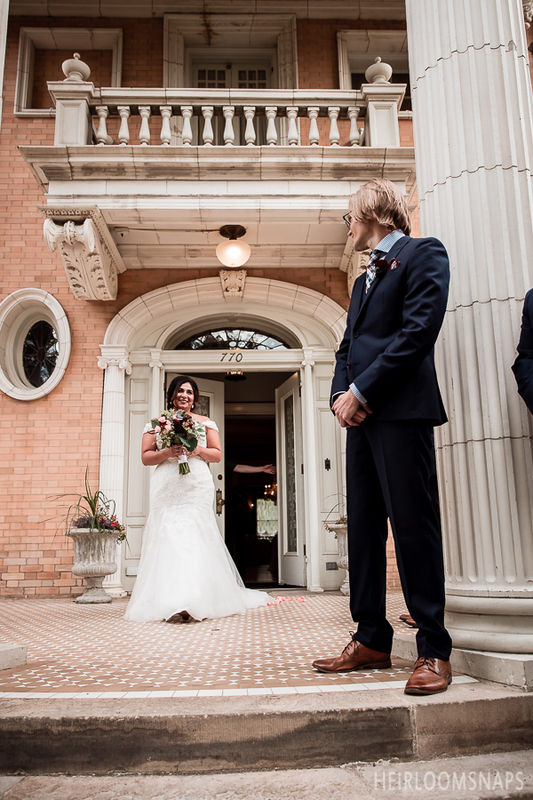 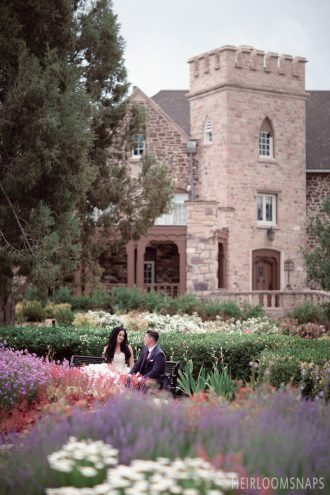 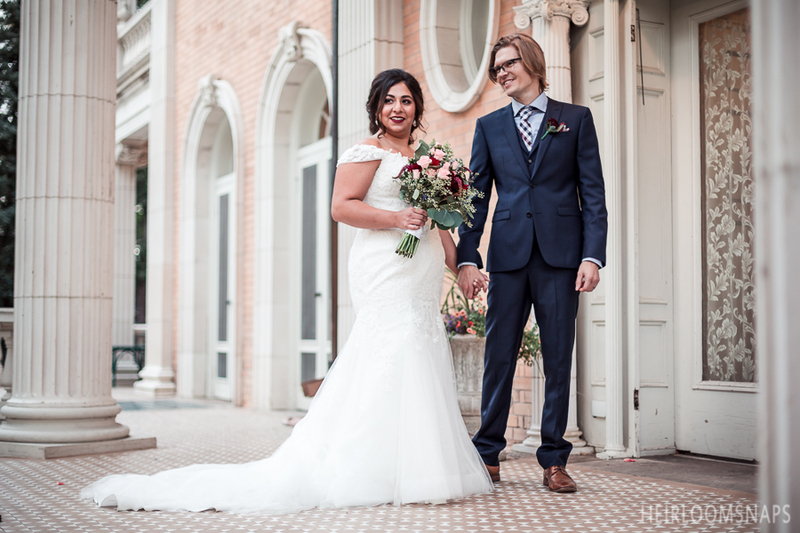 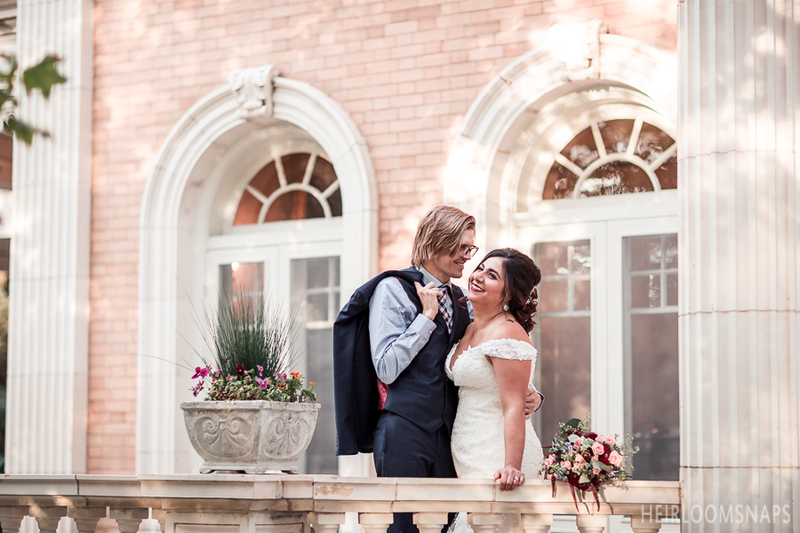 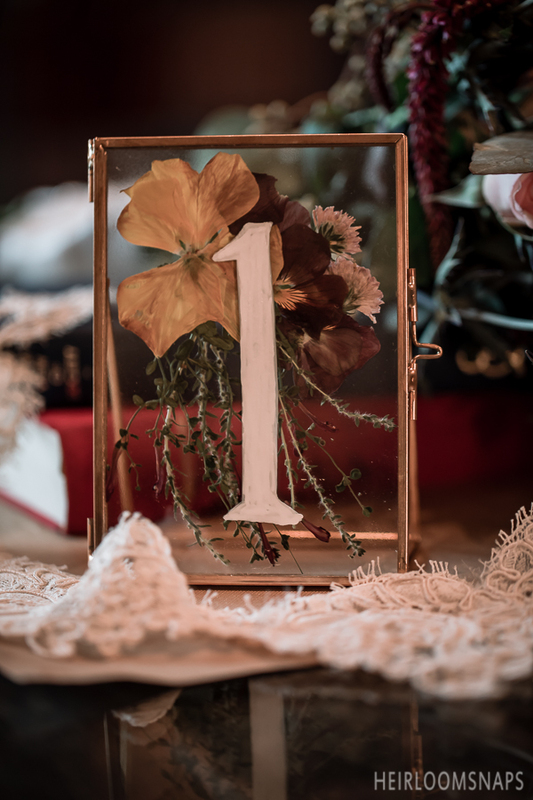 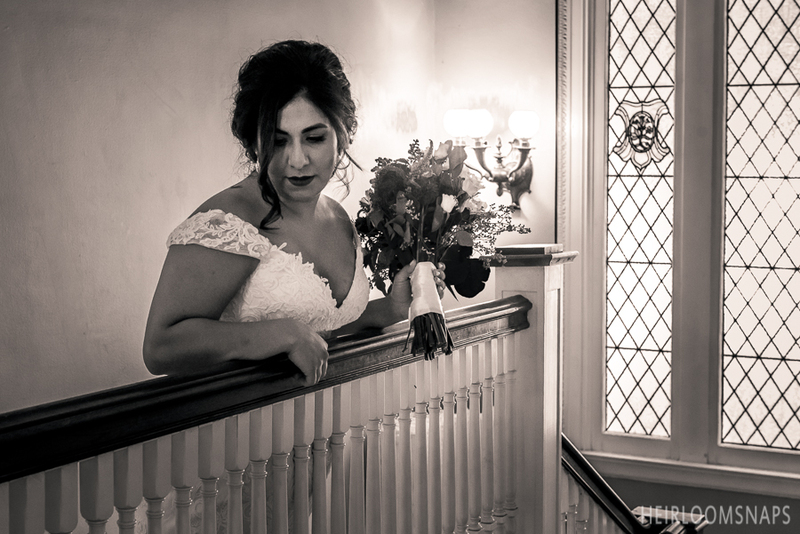 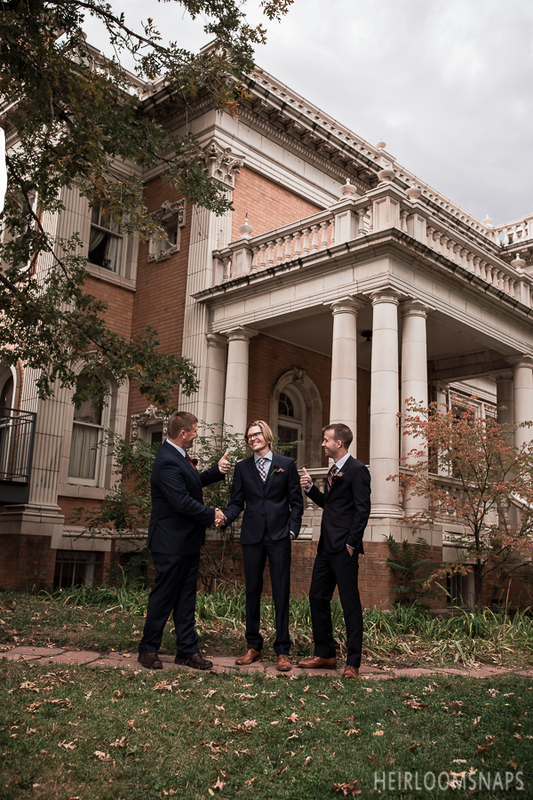 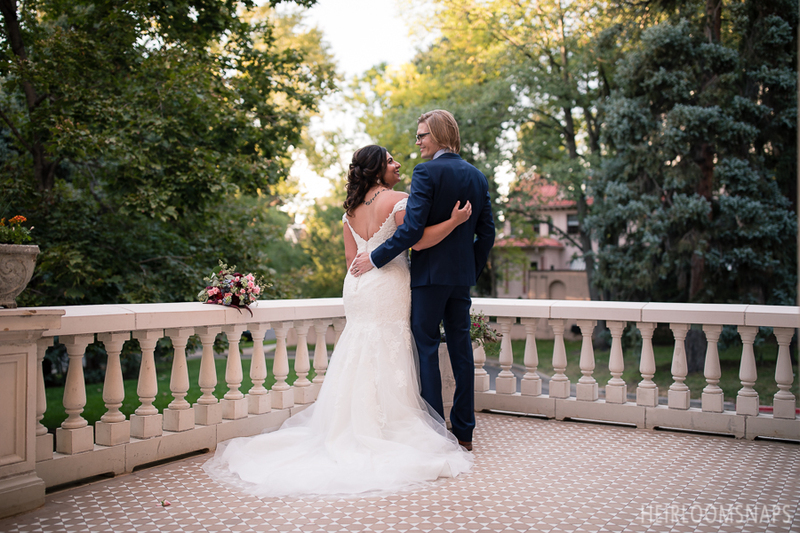 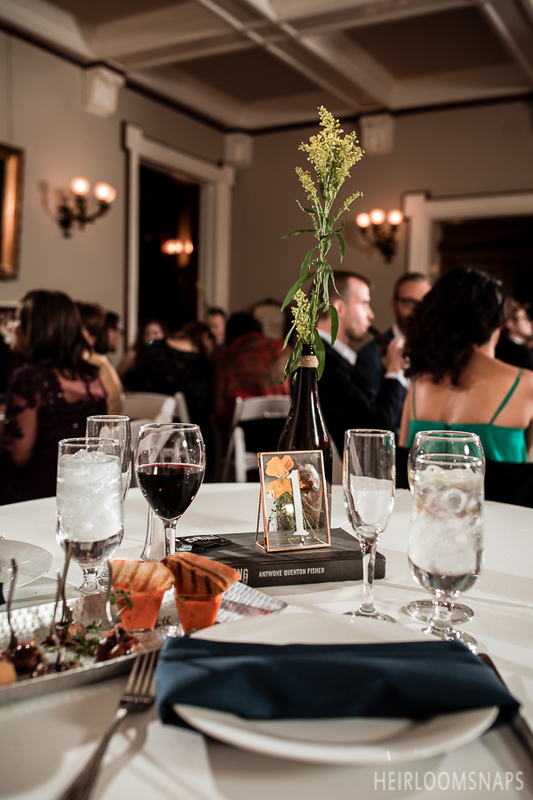 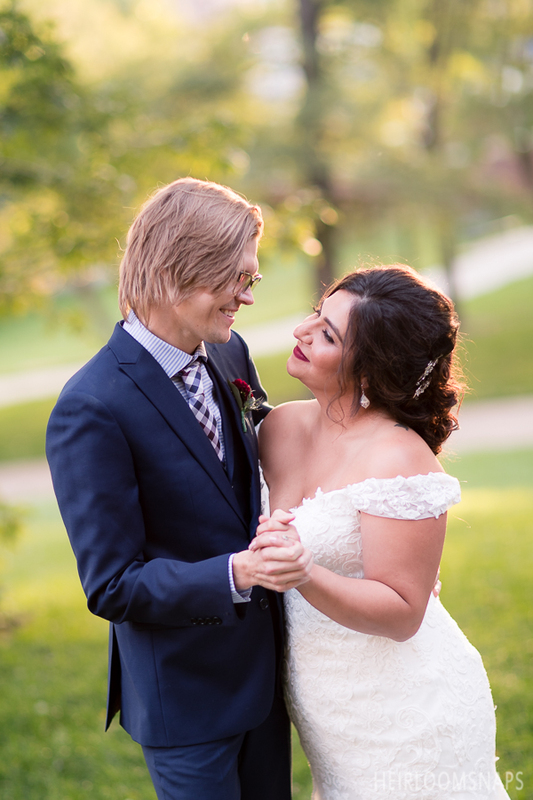 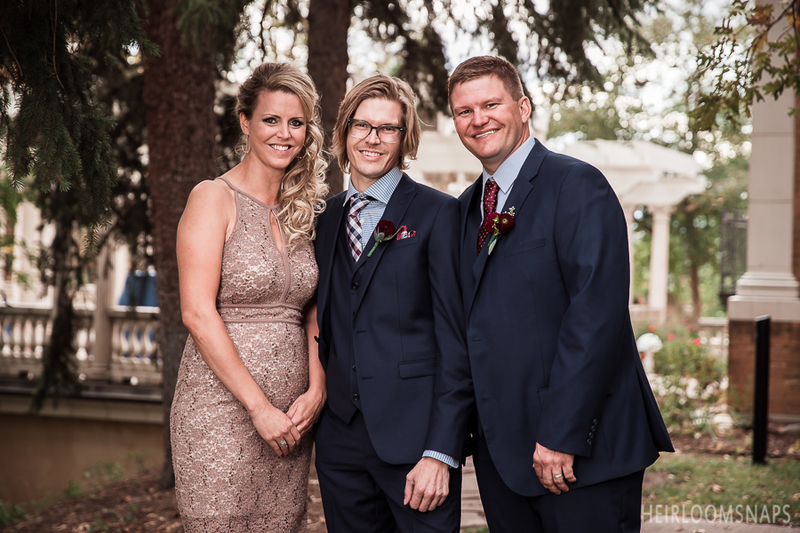 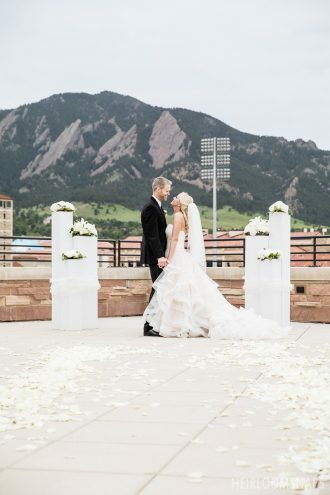 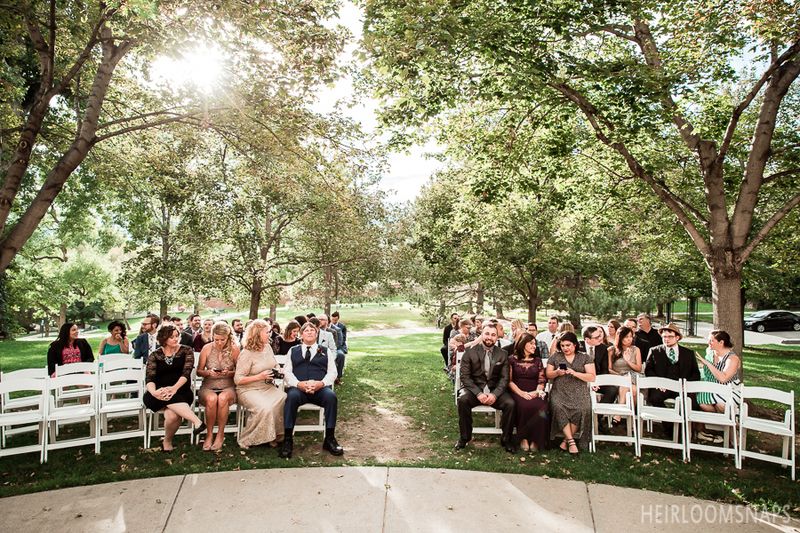 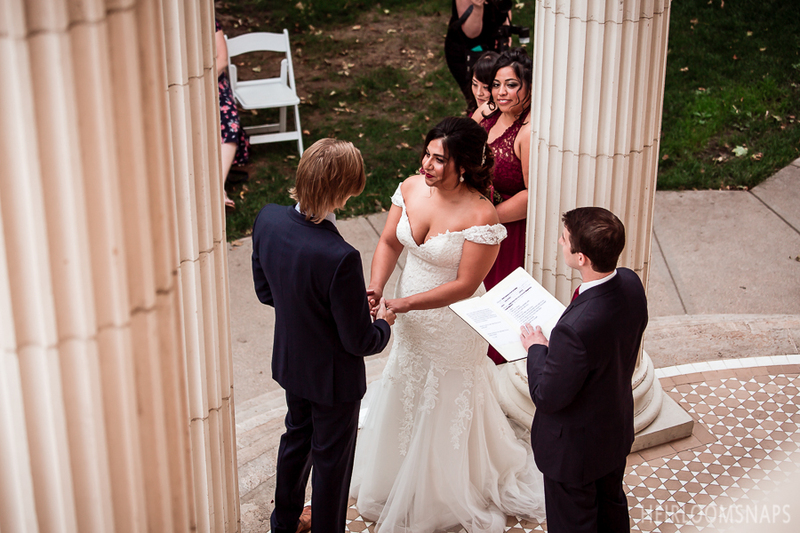 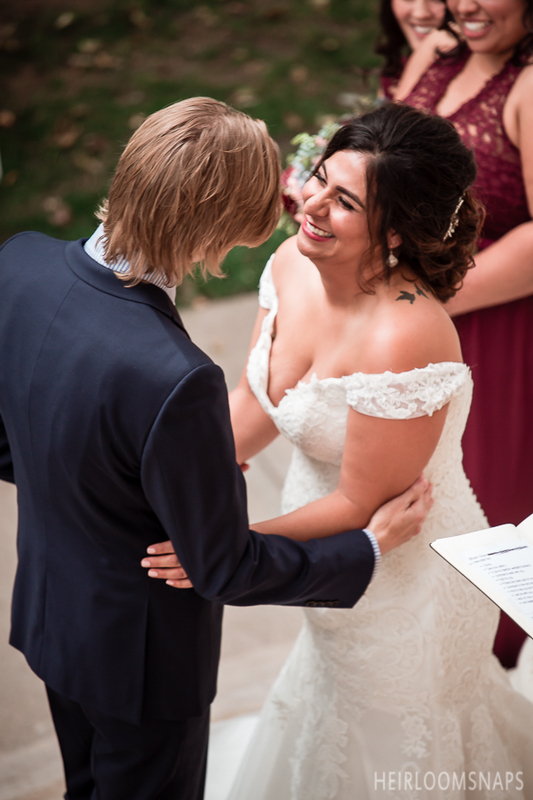 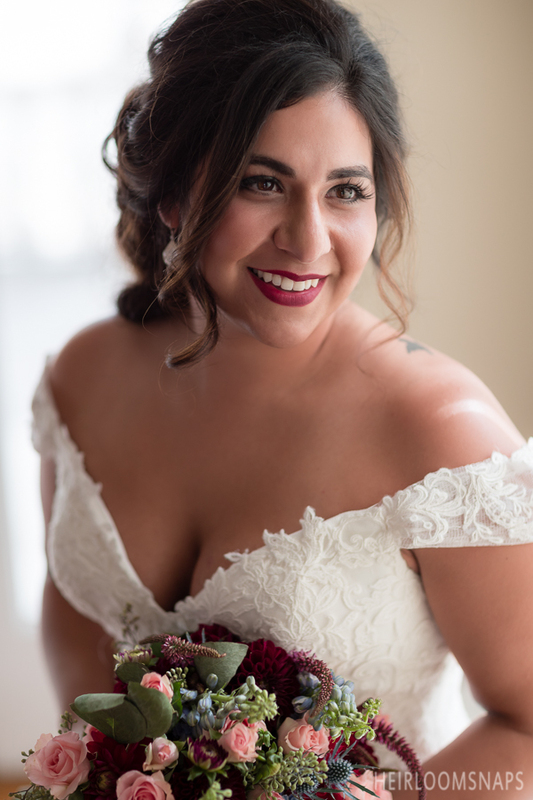 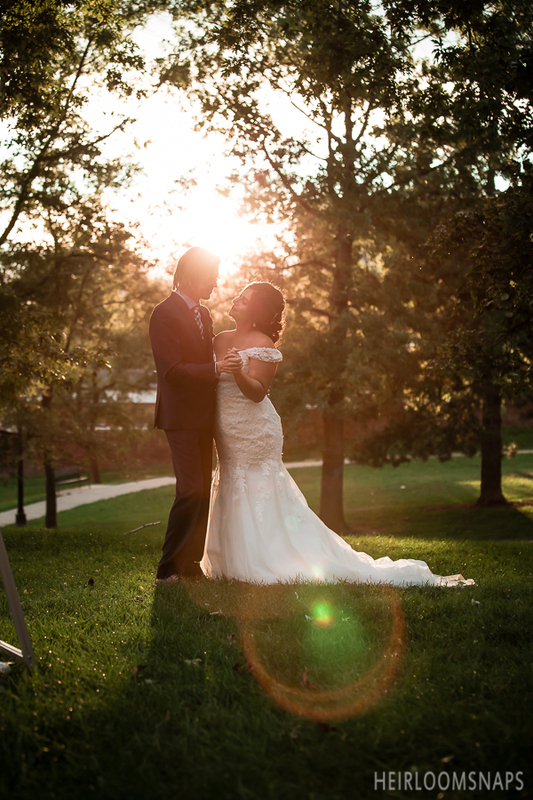 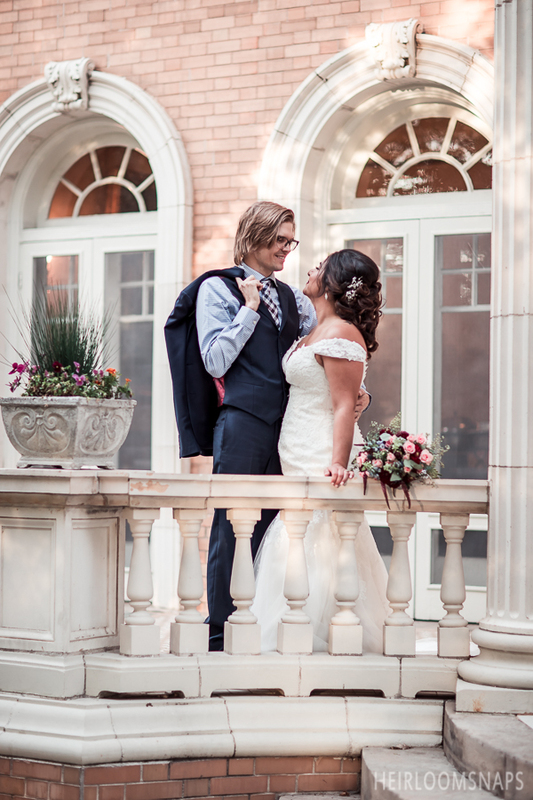 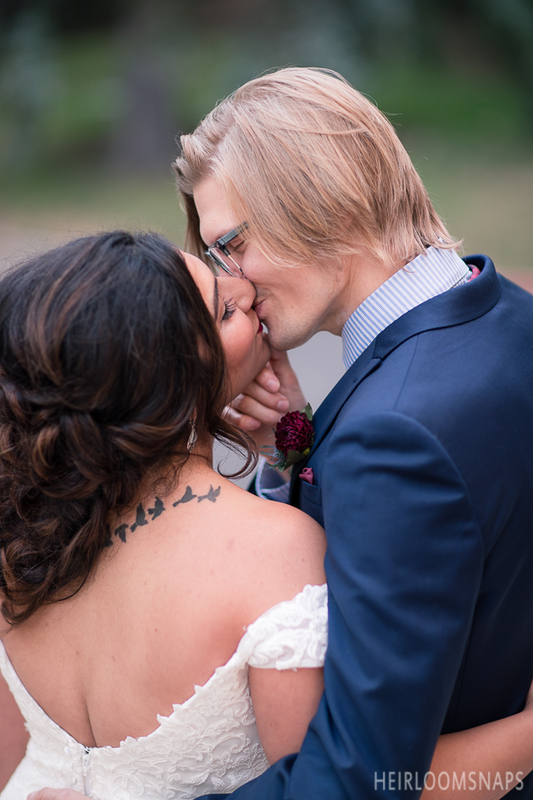 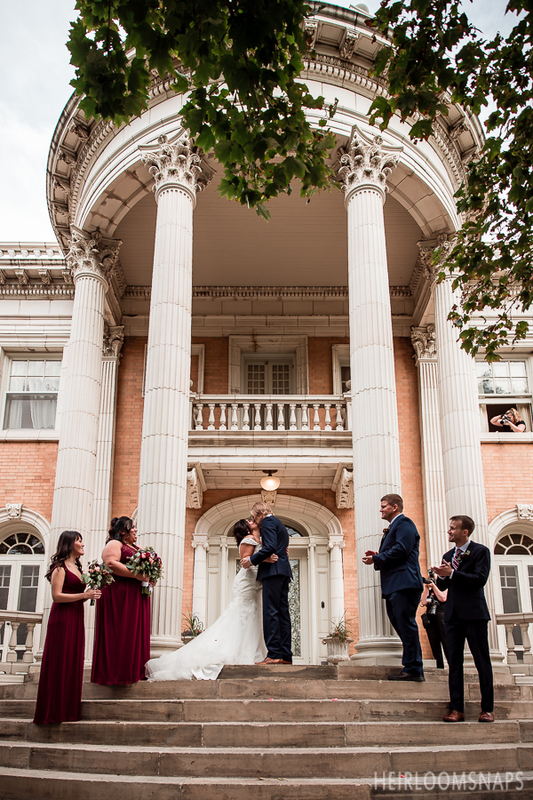 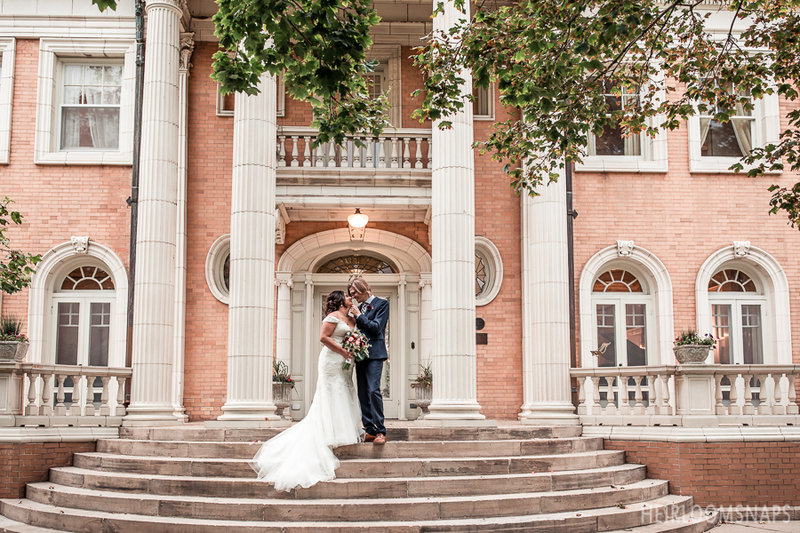 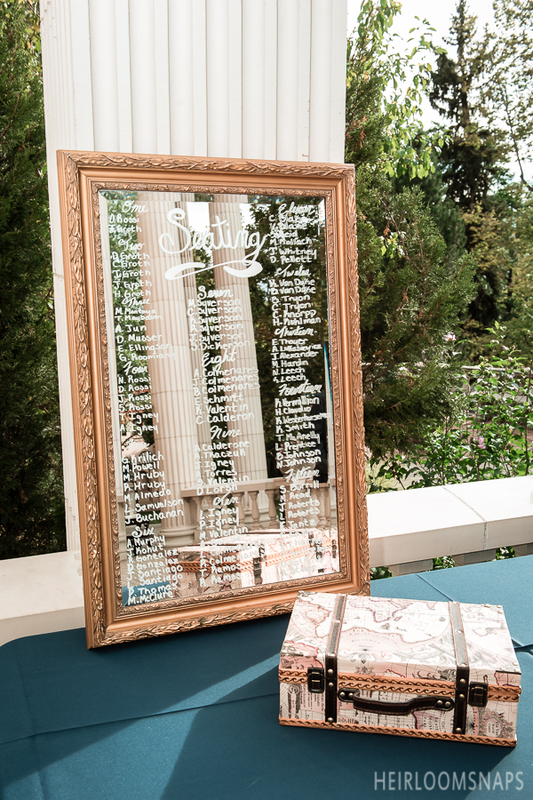 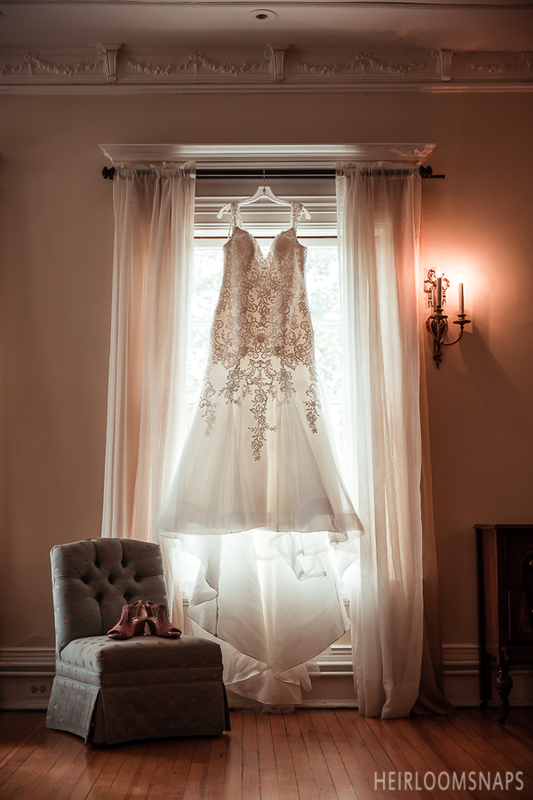 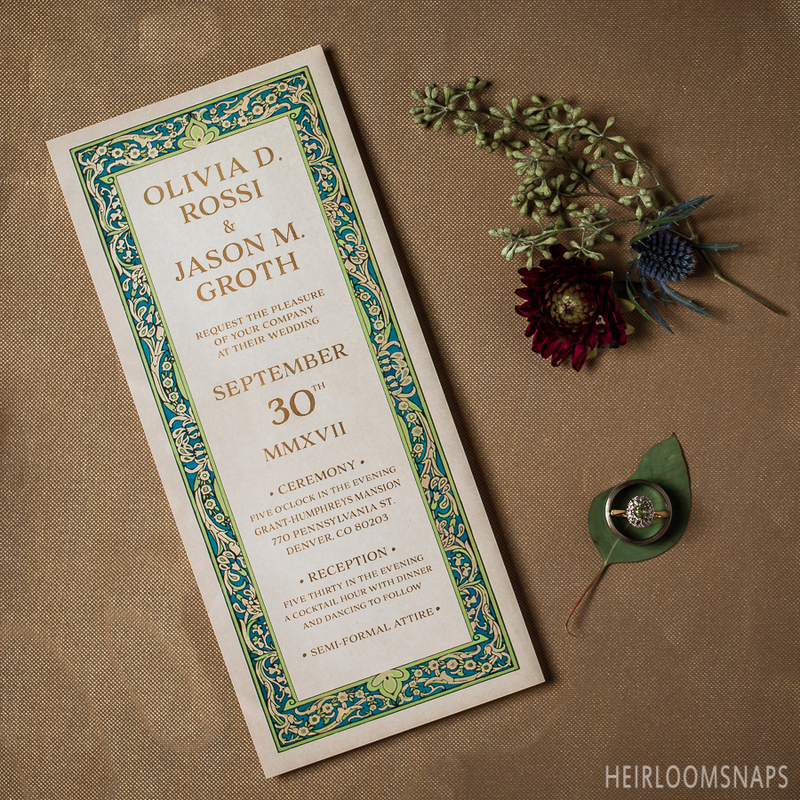 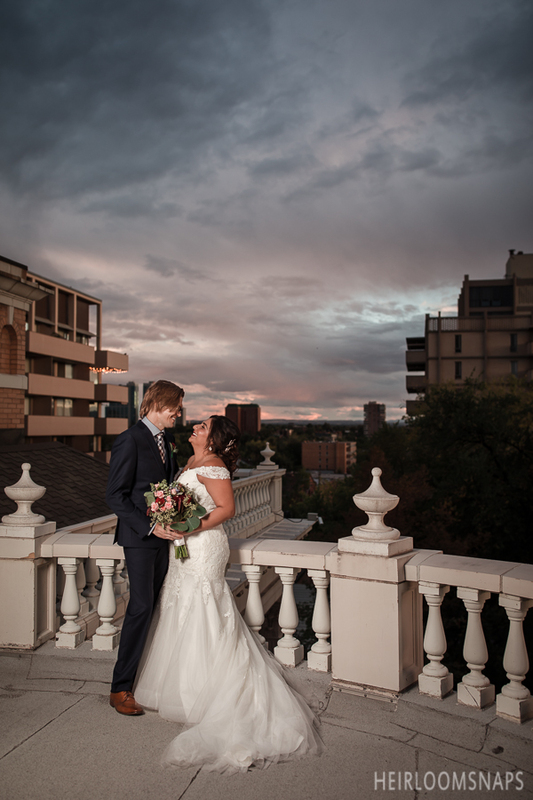 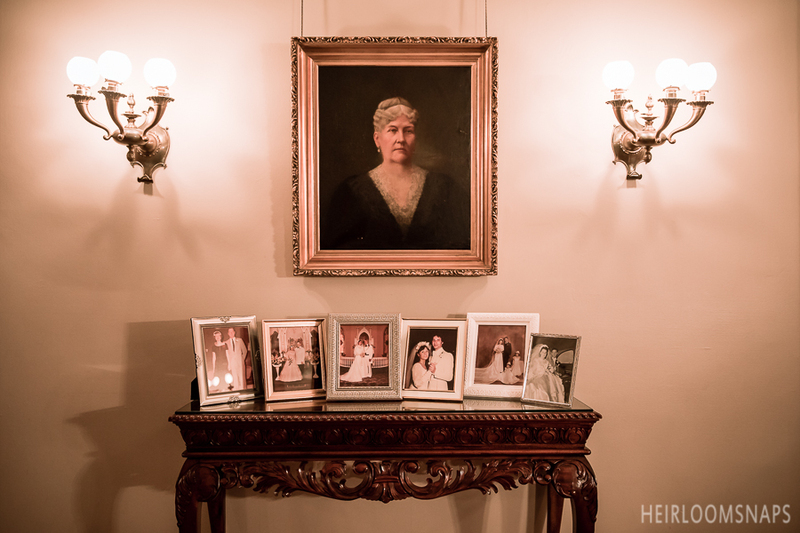 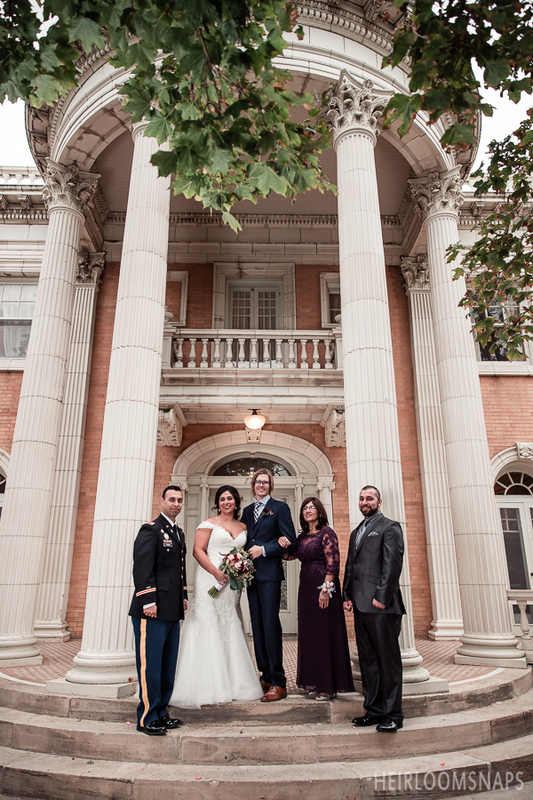 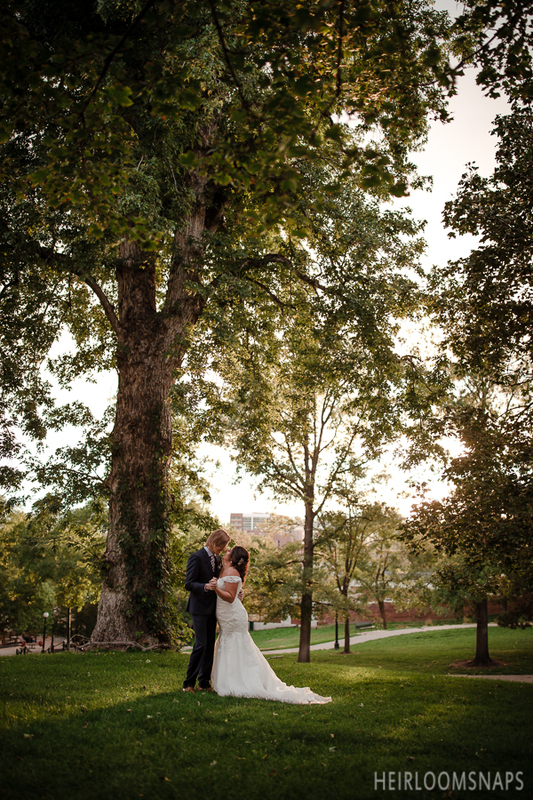 Although the mansion connects all Coloradans on a certain level, Olivia and Jason made their wedding day entirely their own. 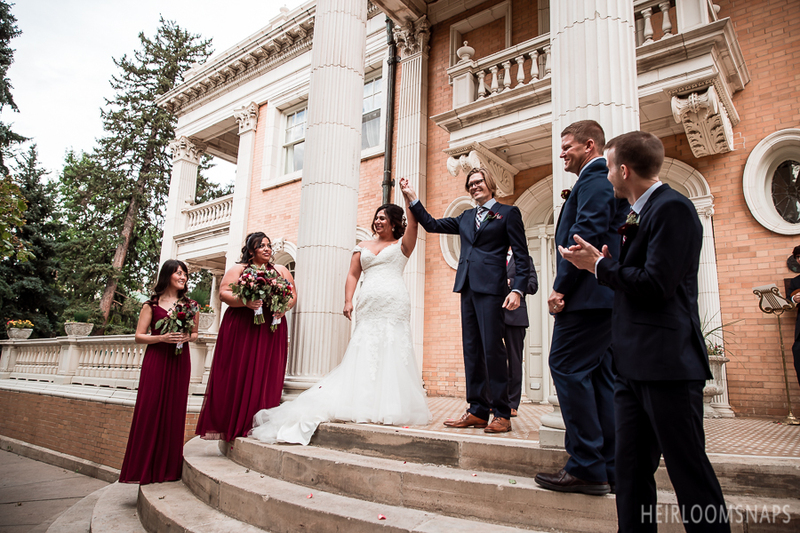 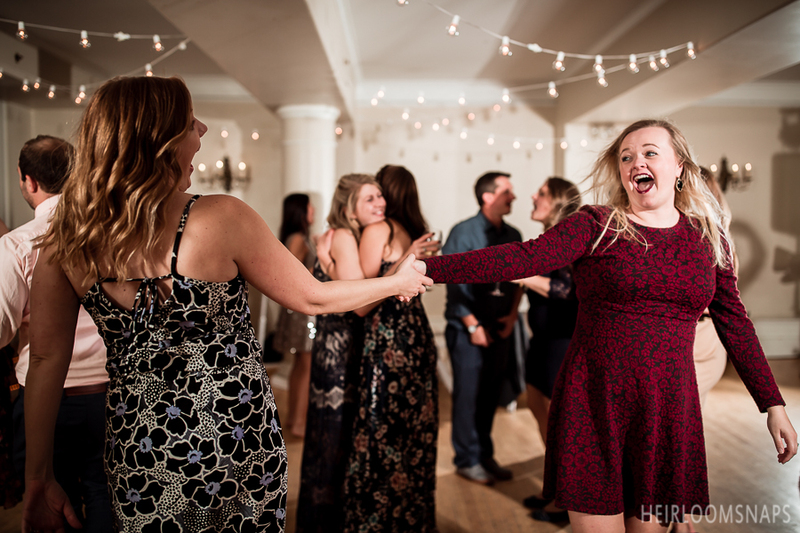 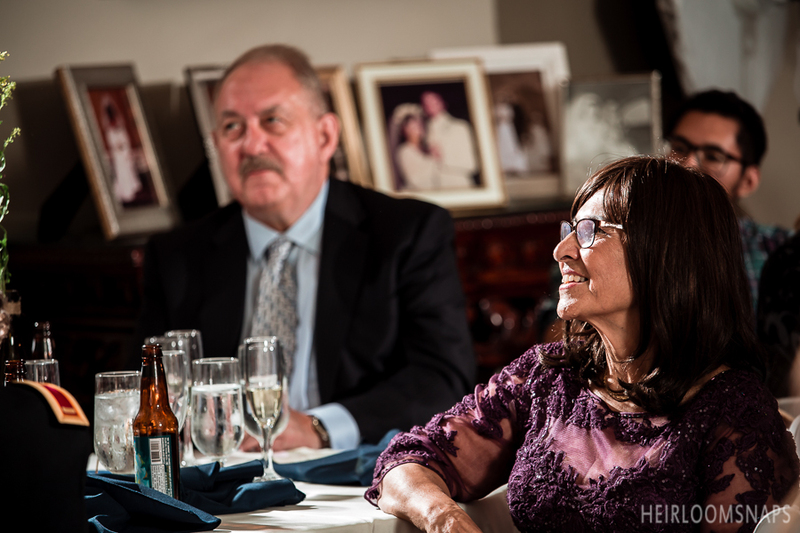 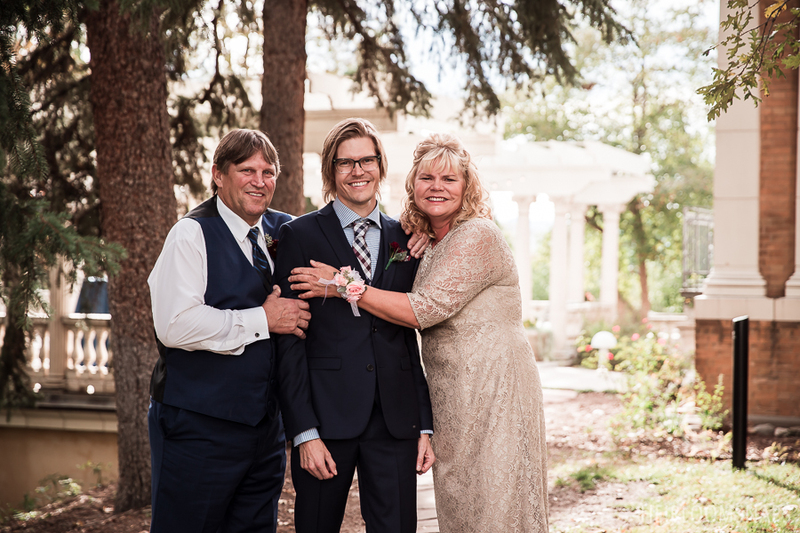 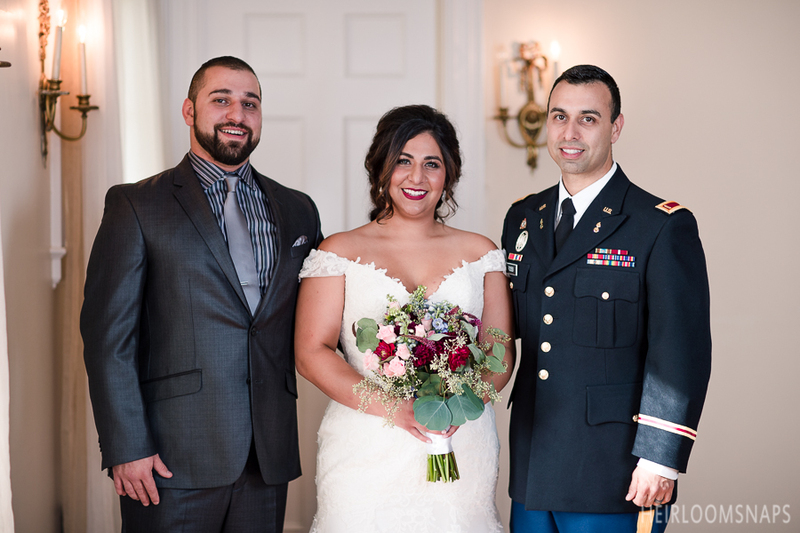 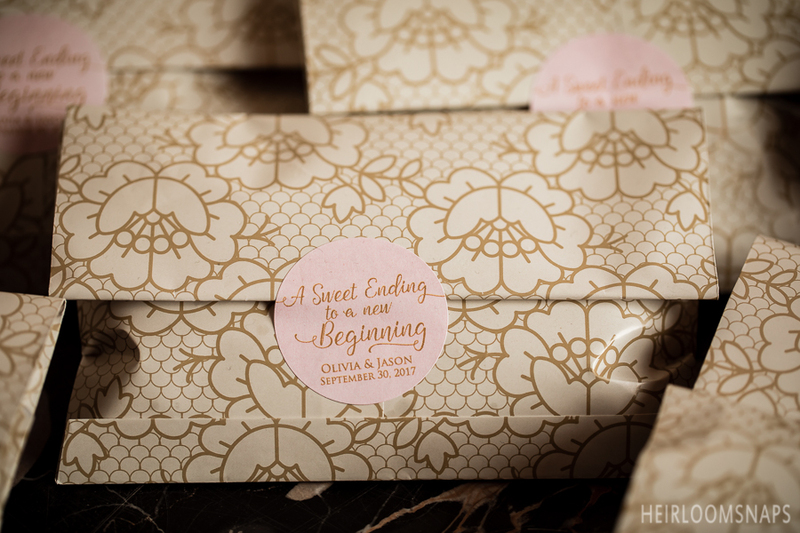 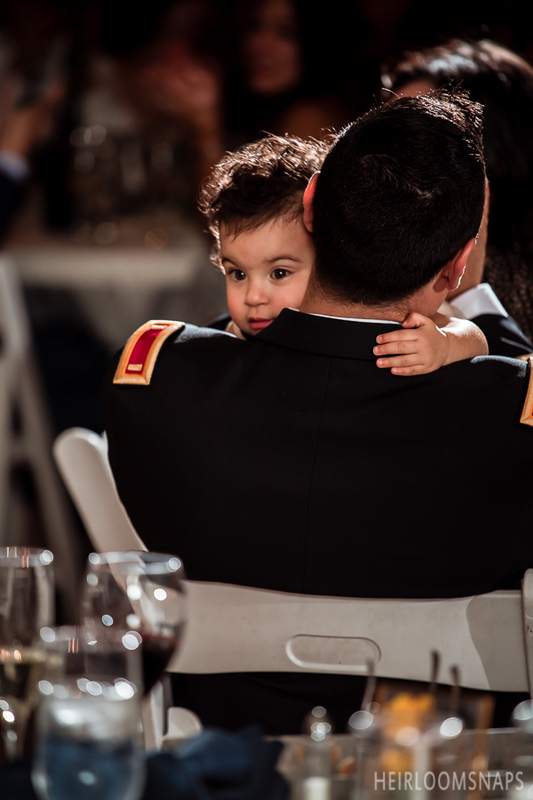 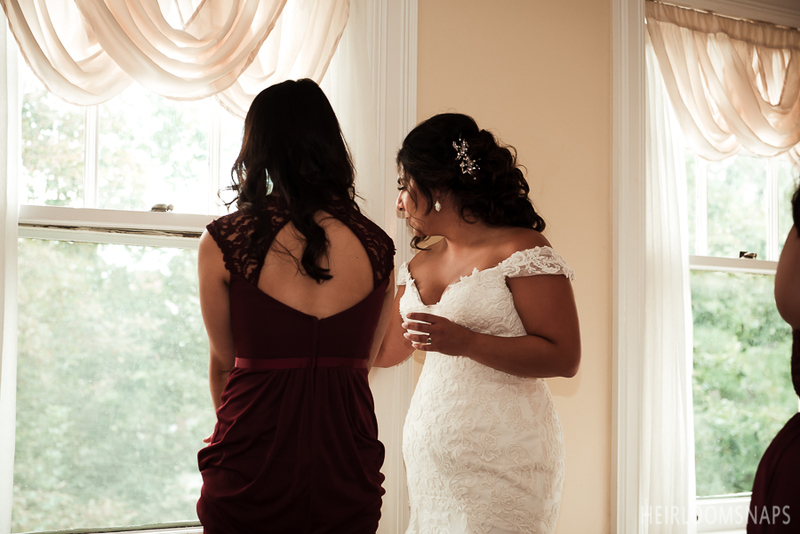 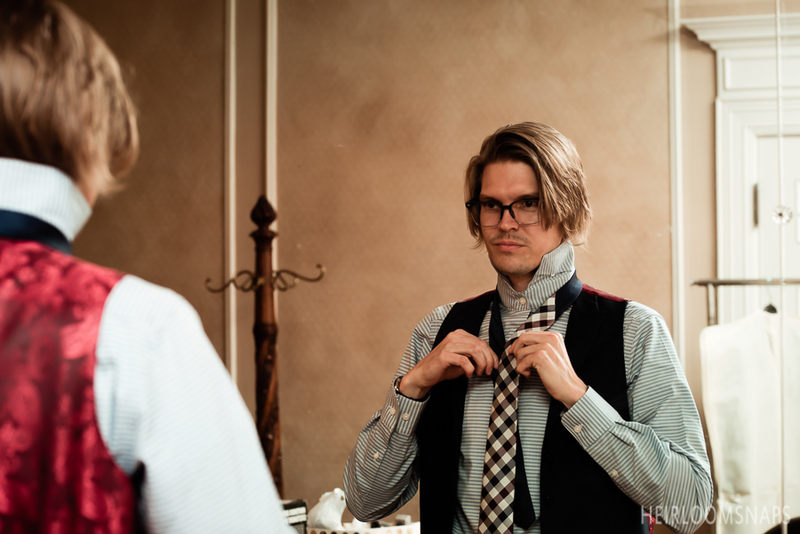 Since the pair lives in Grand Junction, all of their guests came in from out of town to attend their wedding. 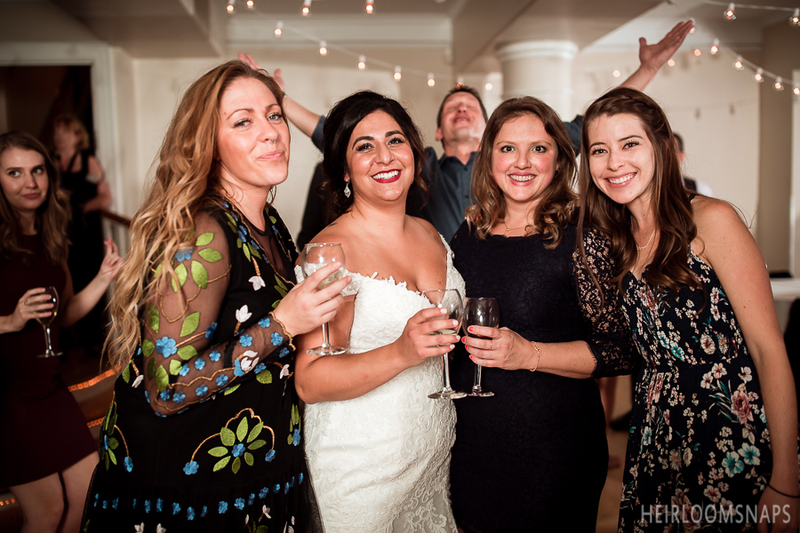 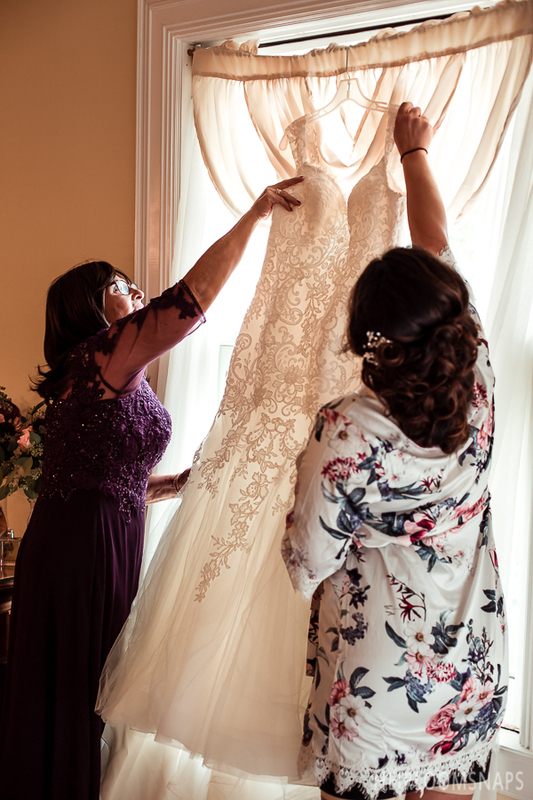 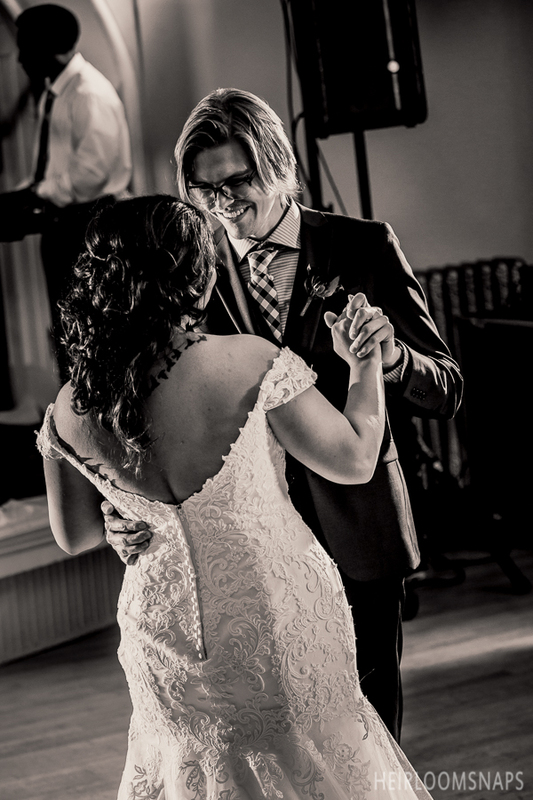 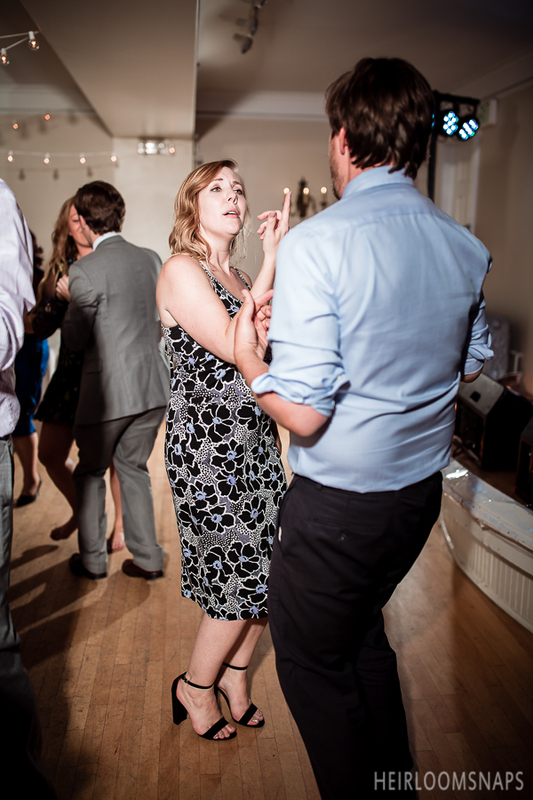 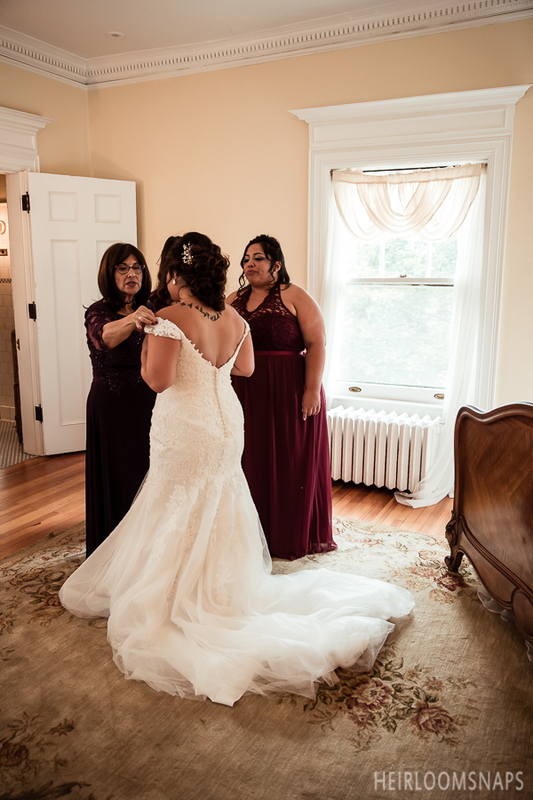 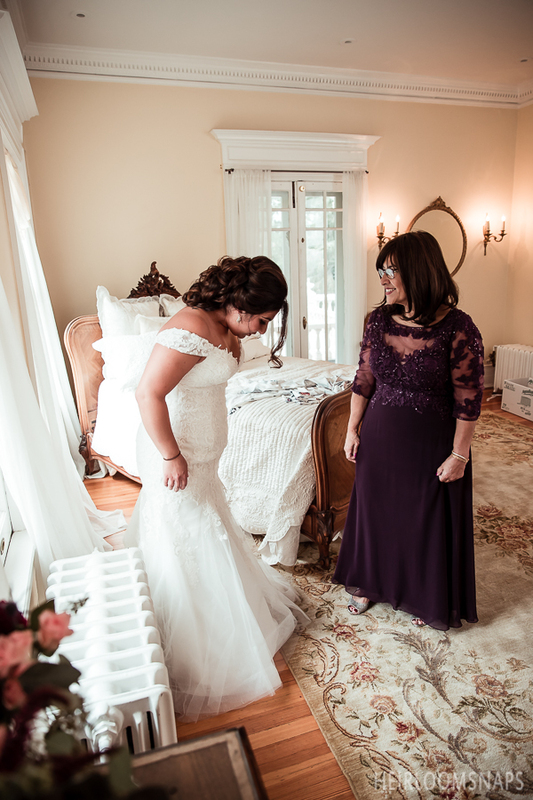 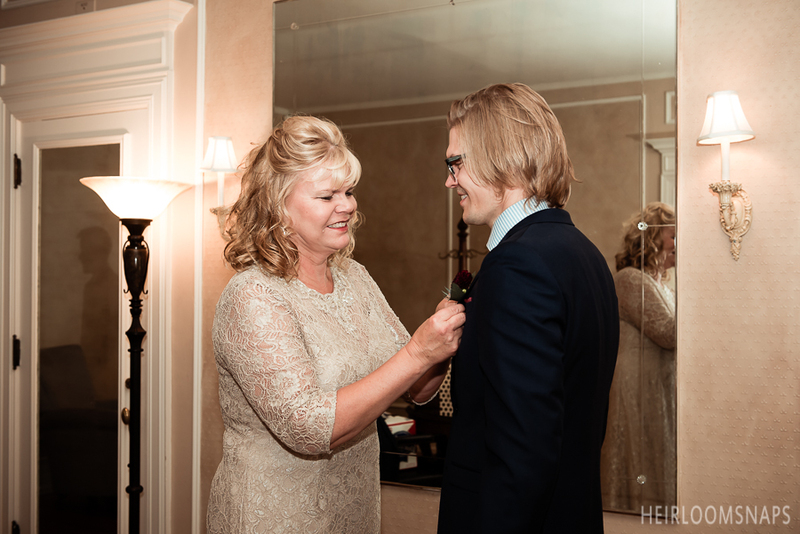 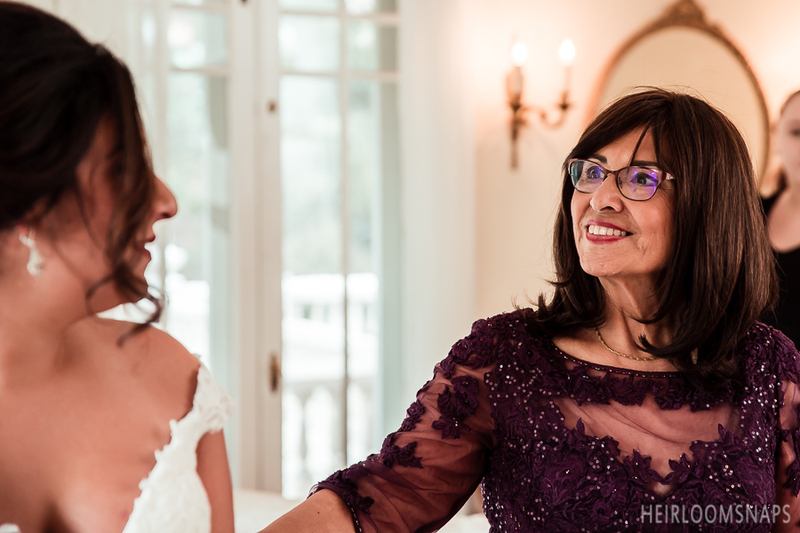 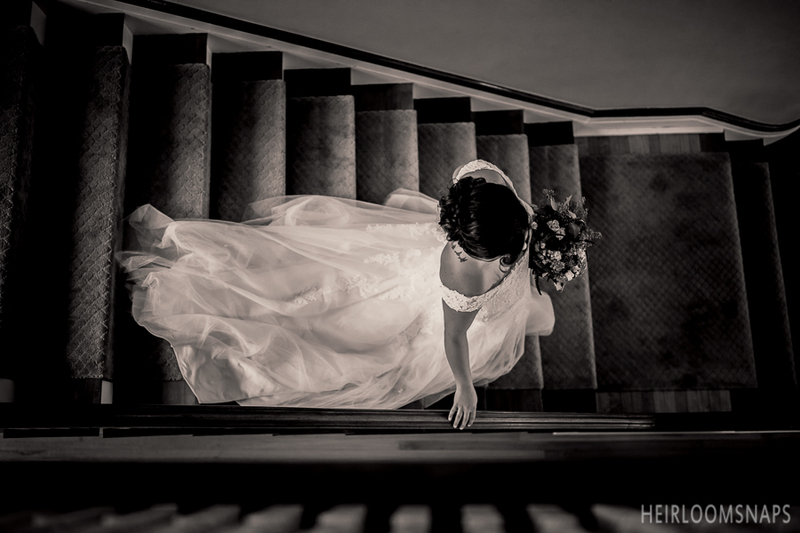 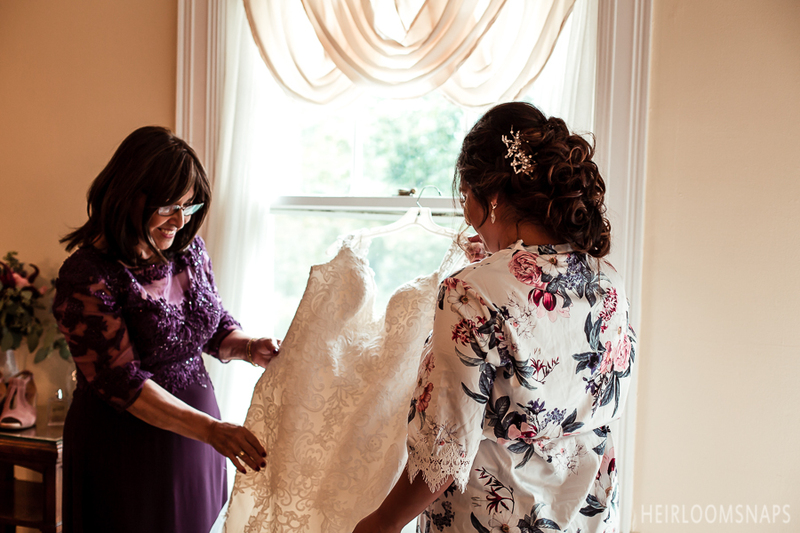 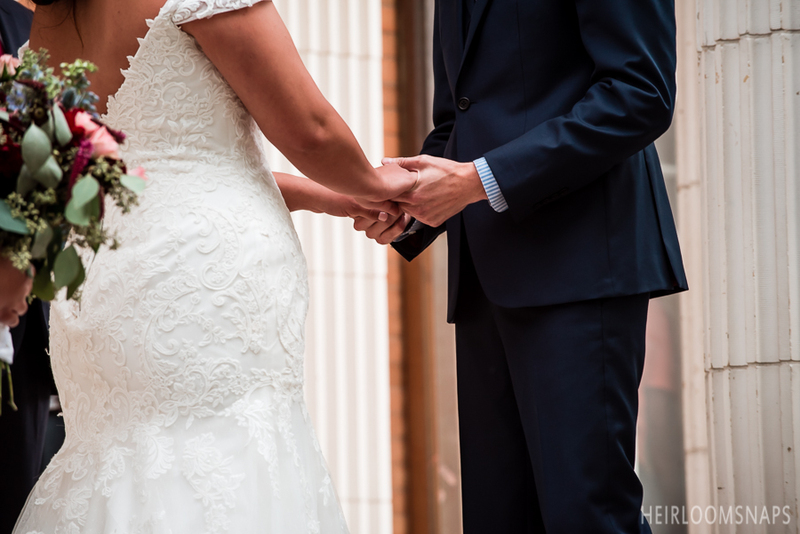 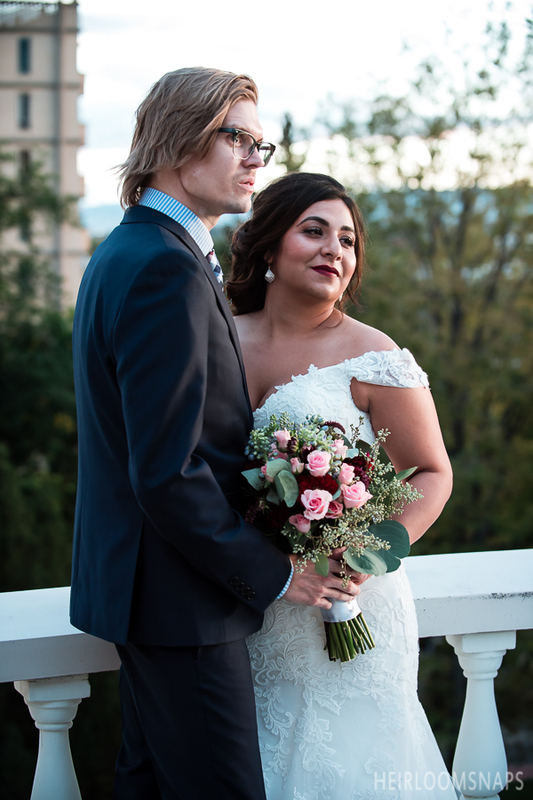 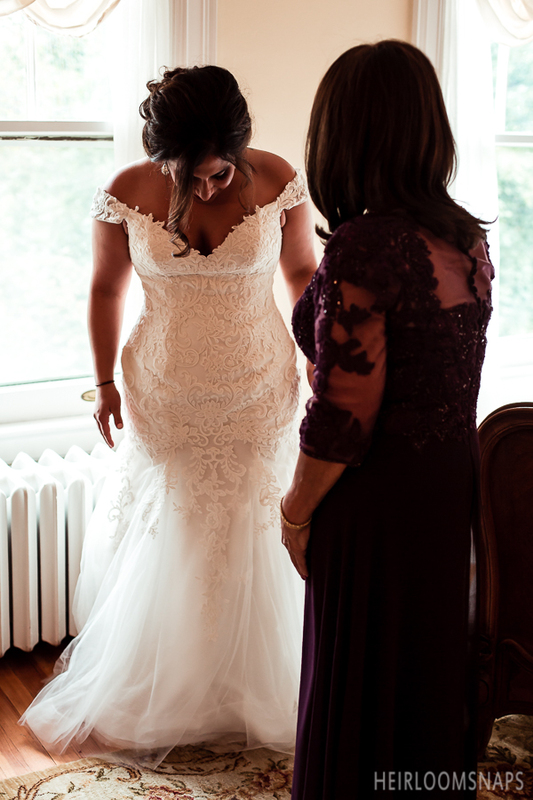 Olivia wore a stunning Maggie Sottero Aftonbladet dress, and her beauty warmed the hearts of all who saw her. 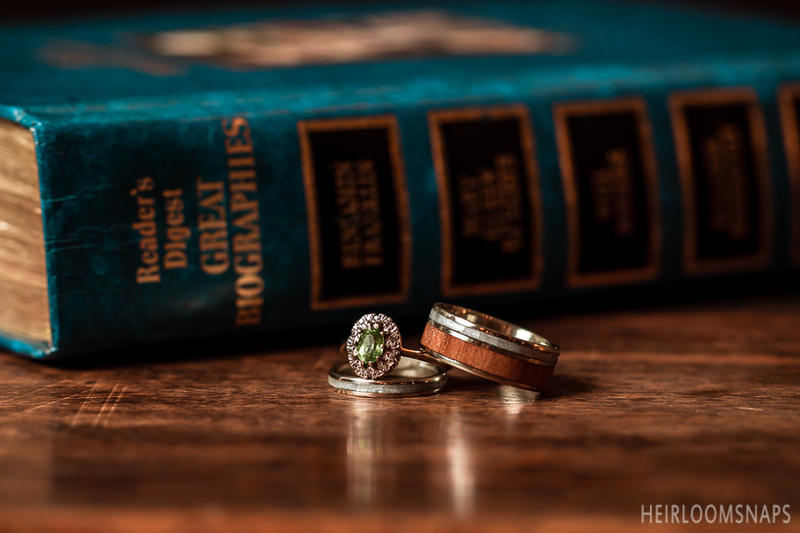 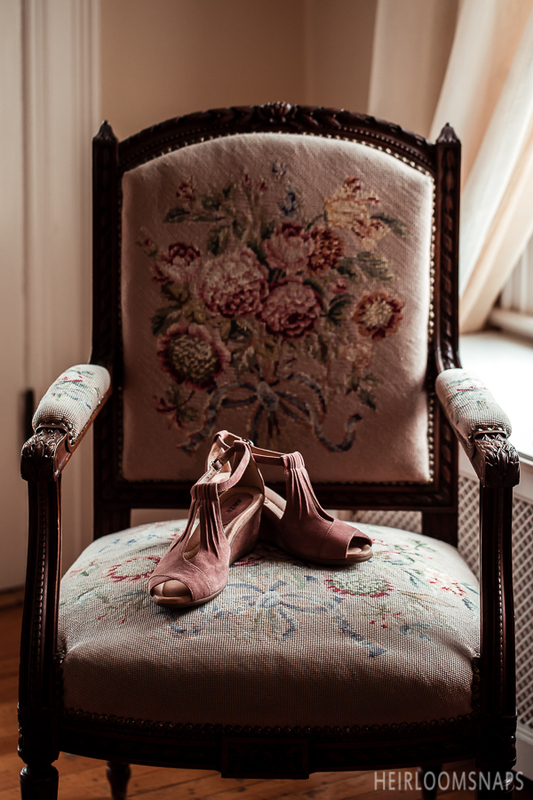 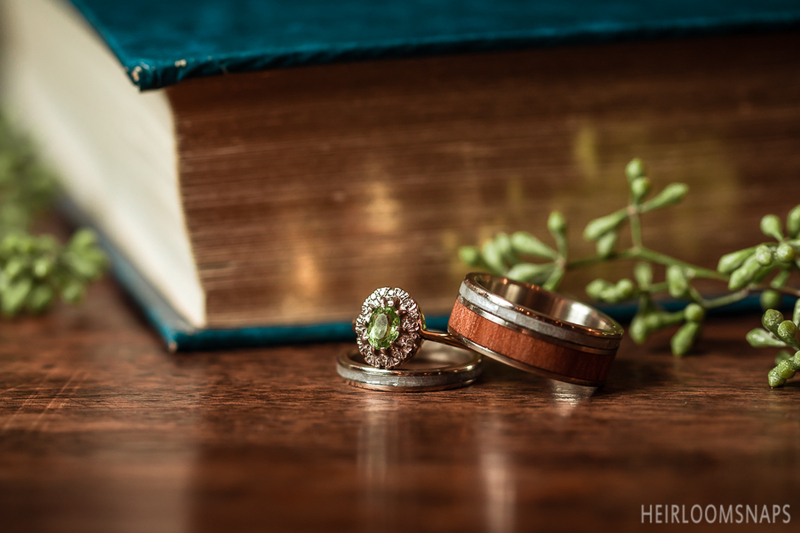 Her wedding ring is vintage in style, and showcases the couple’s unique personalities and interest in the antique. 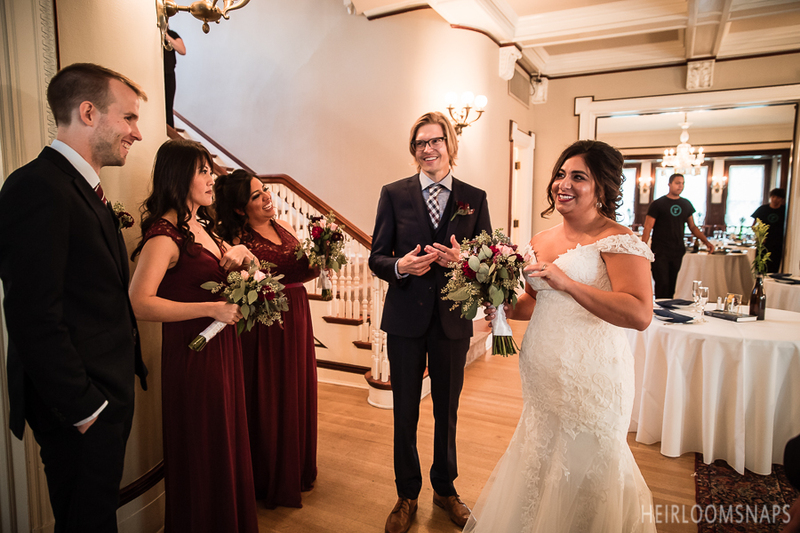 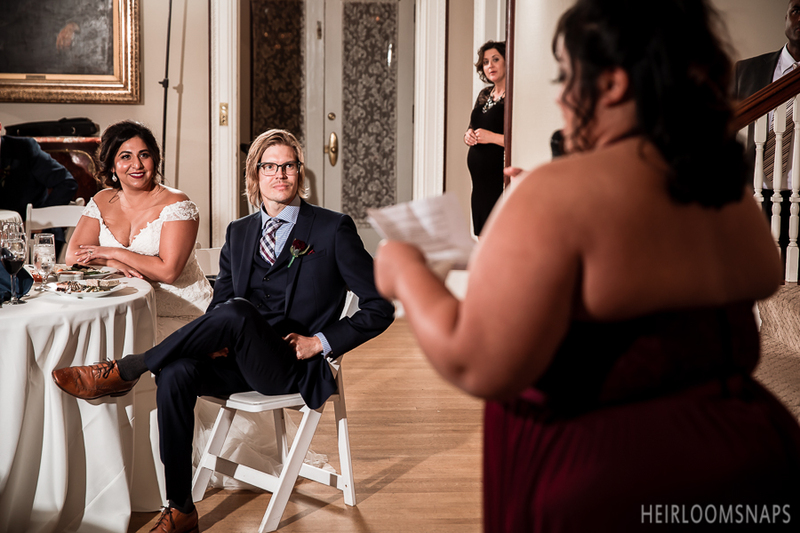 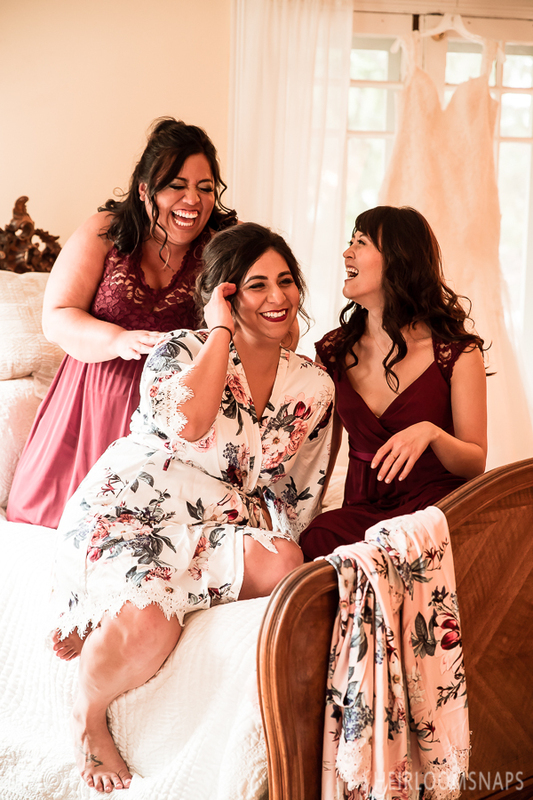 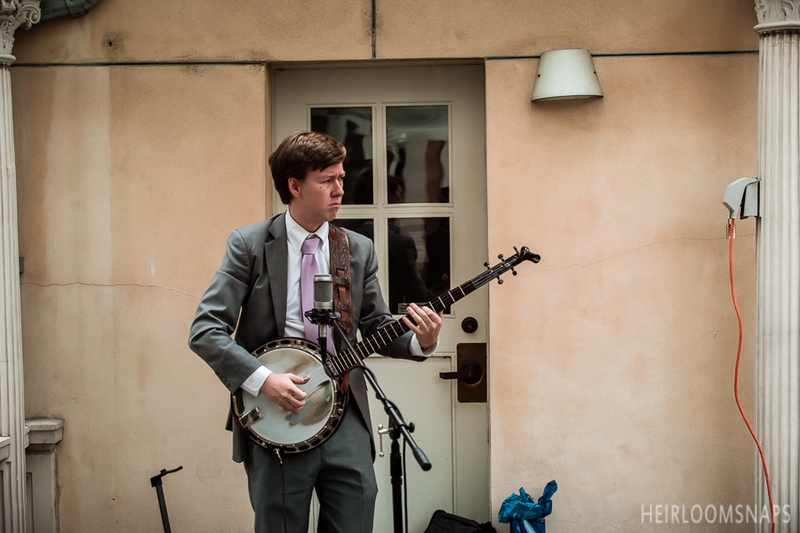 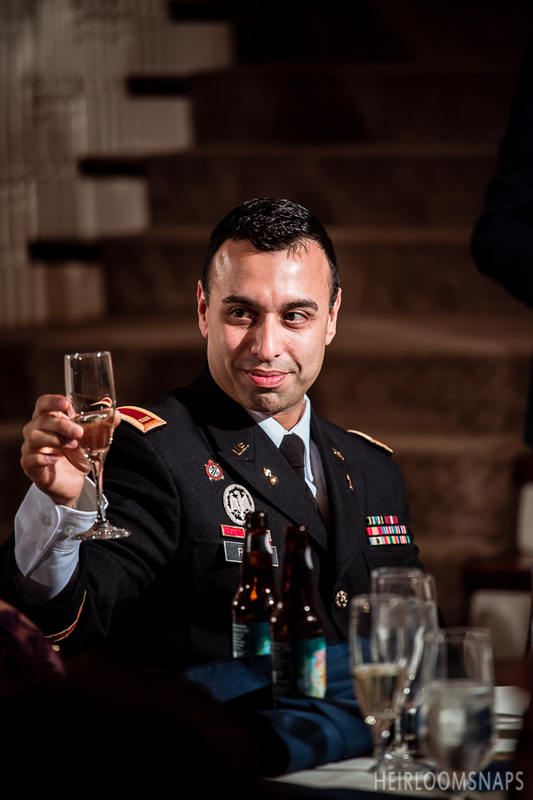 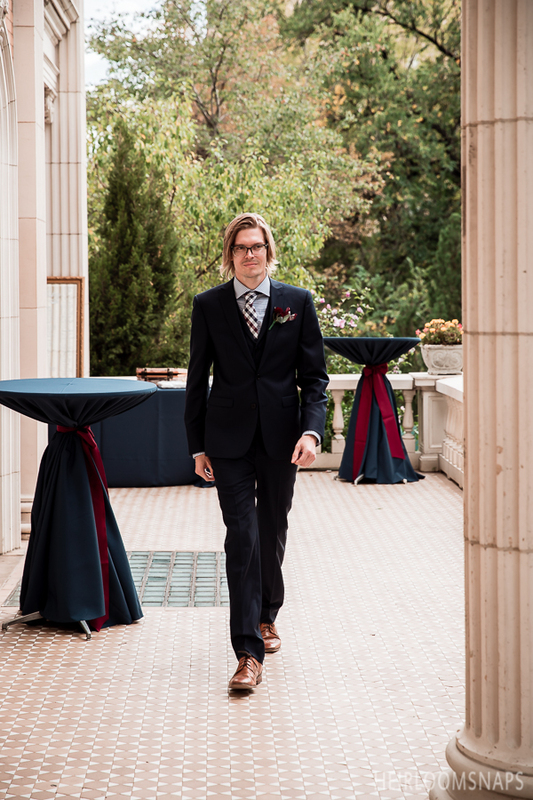 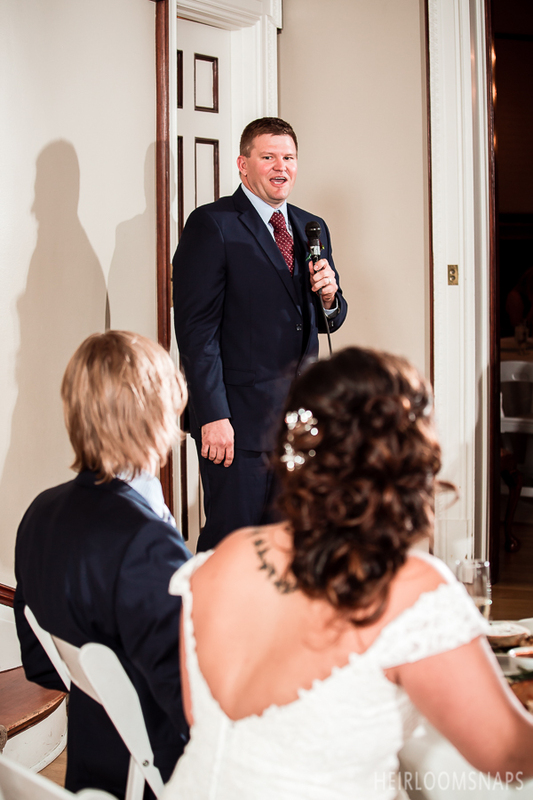 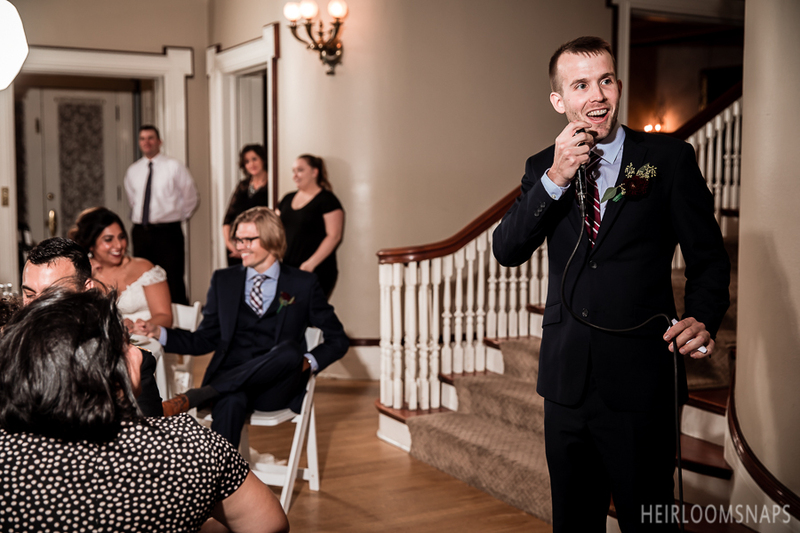 With an emphasis on love and family, a close friend officiated their ceremony, and another played the ukulele at their reception. 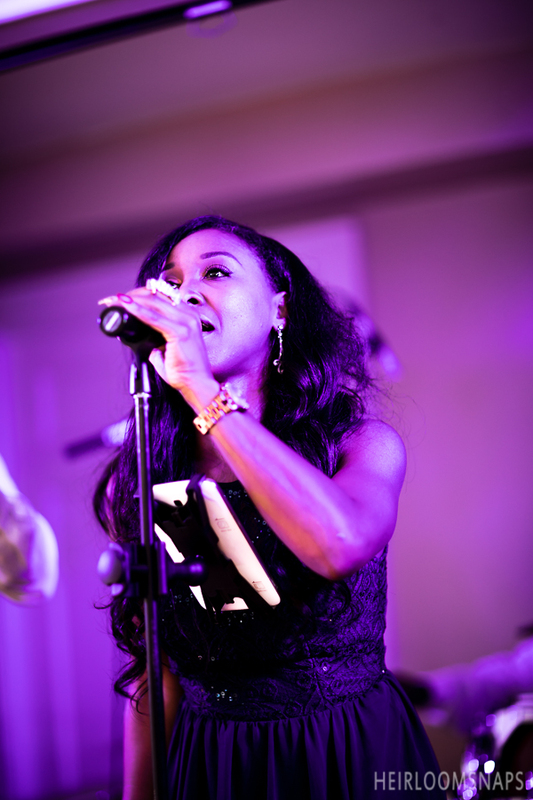 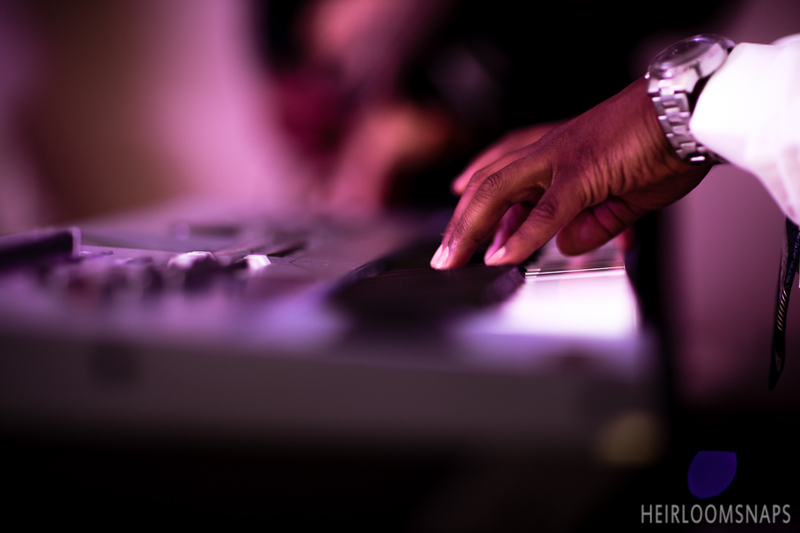 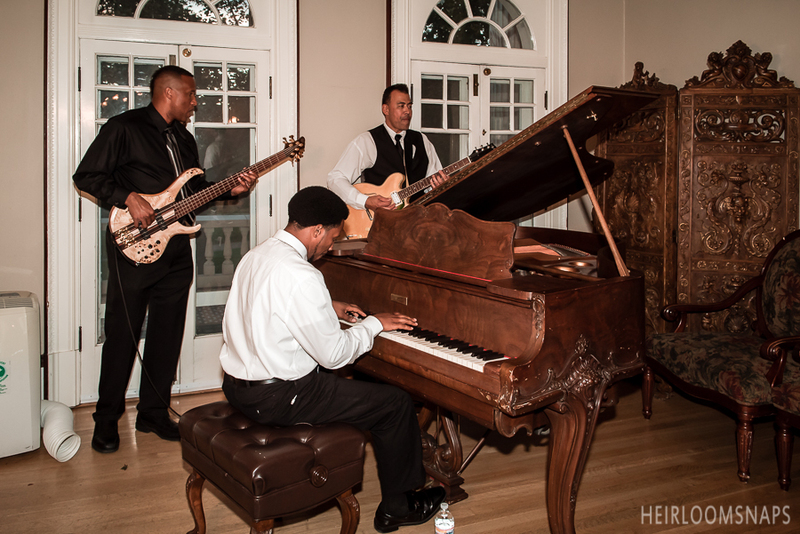 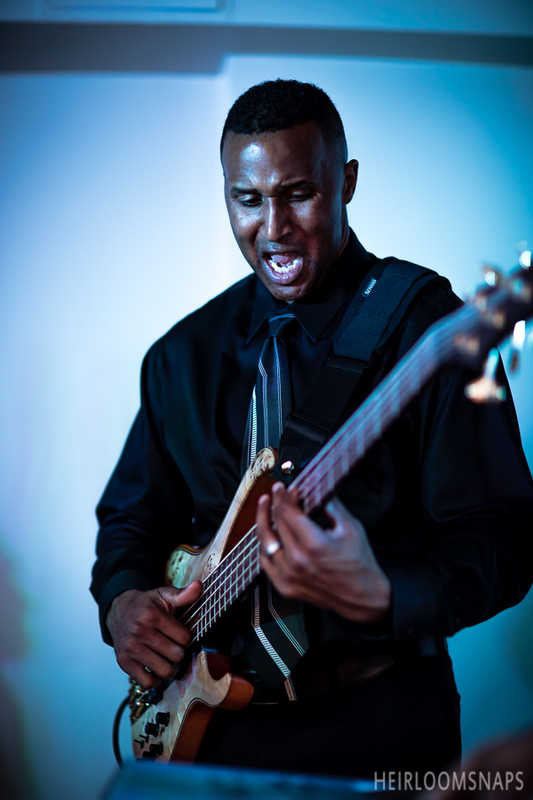 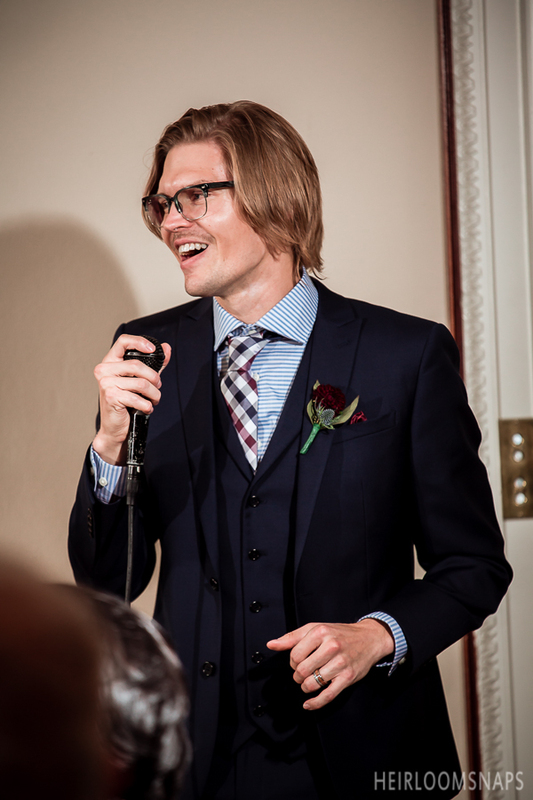 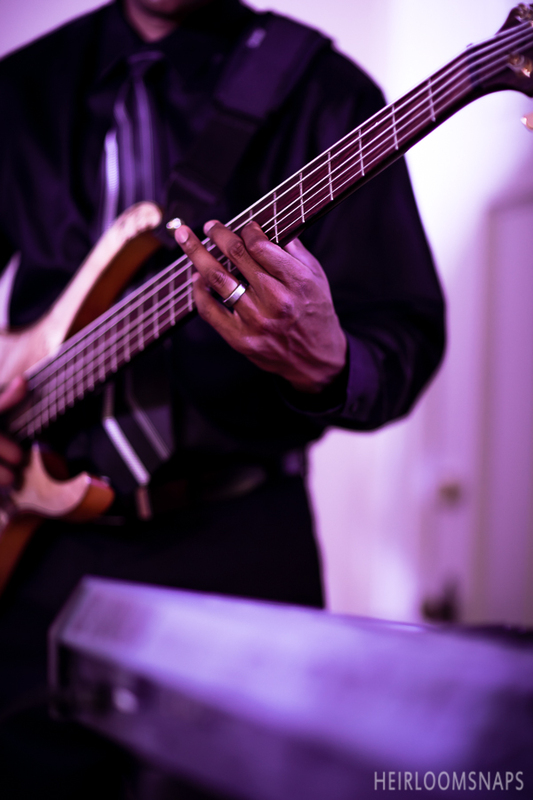 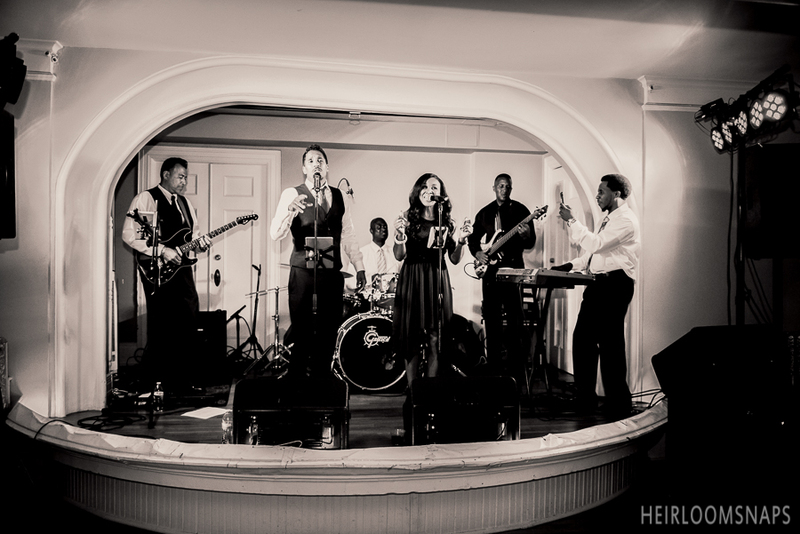 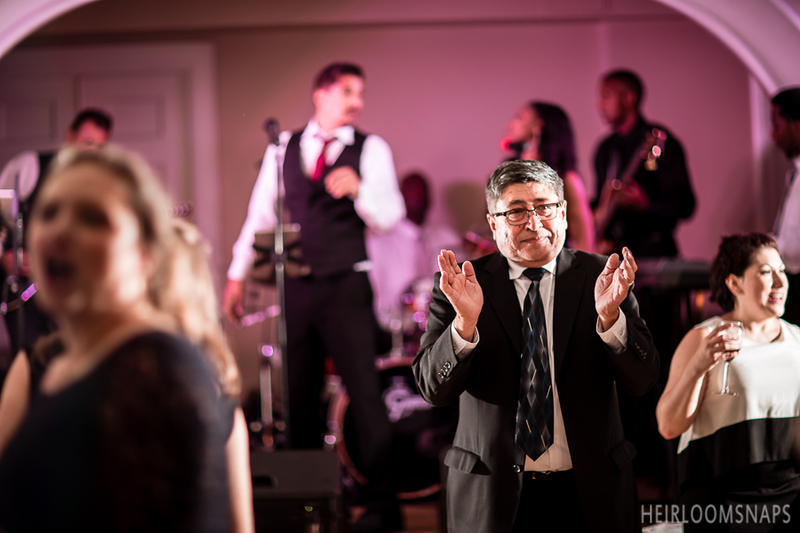 They also hired a Motown themed live band to entertain their loved ones as the evening fell. 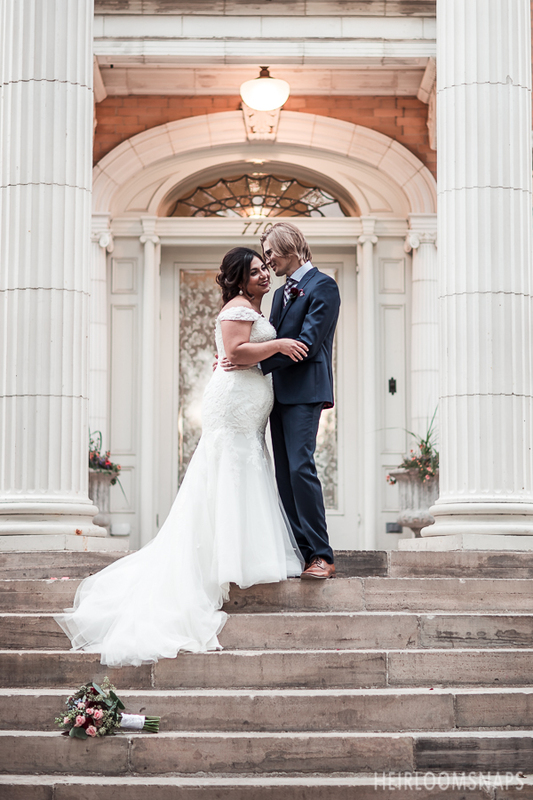 Olivia and Jason have been together for over six years, and will continue to strengthen their relationship as it stands the test of time.